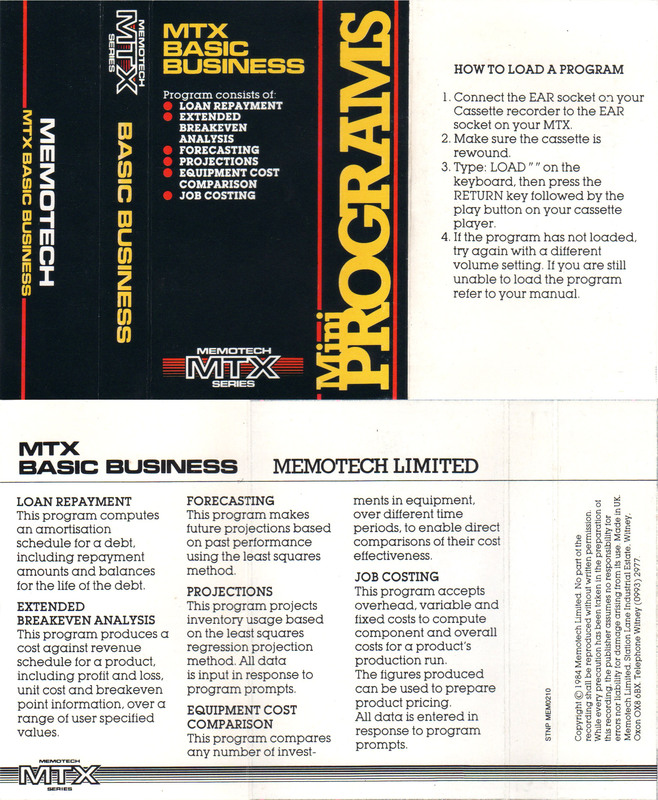 The table below lists all of the software that I believe was produced for the MTX range, if I have missed any, or made any other errors, please let me know and I'll update the table. 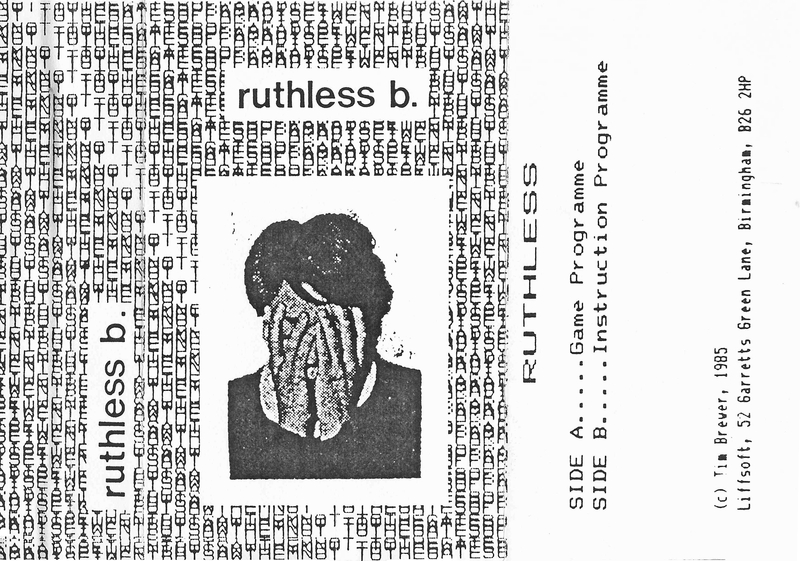 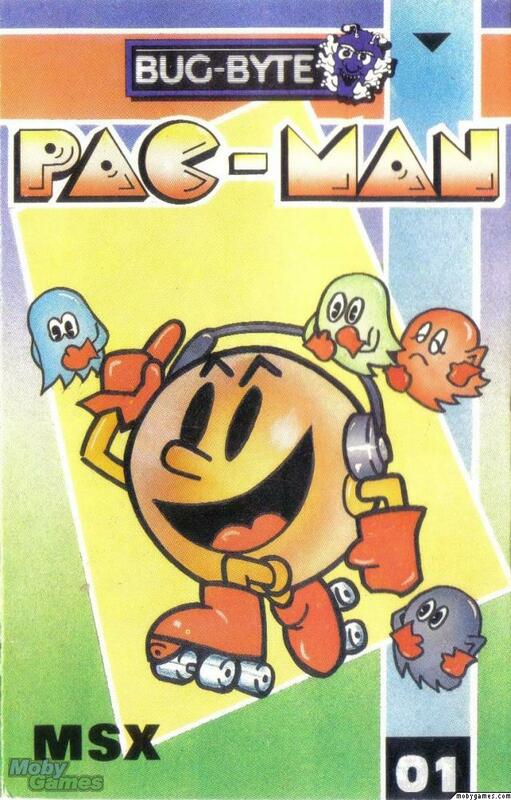 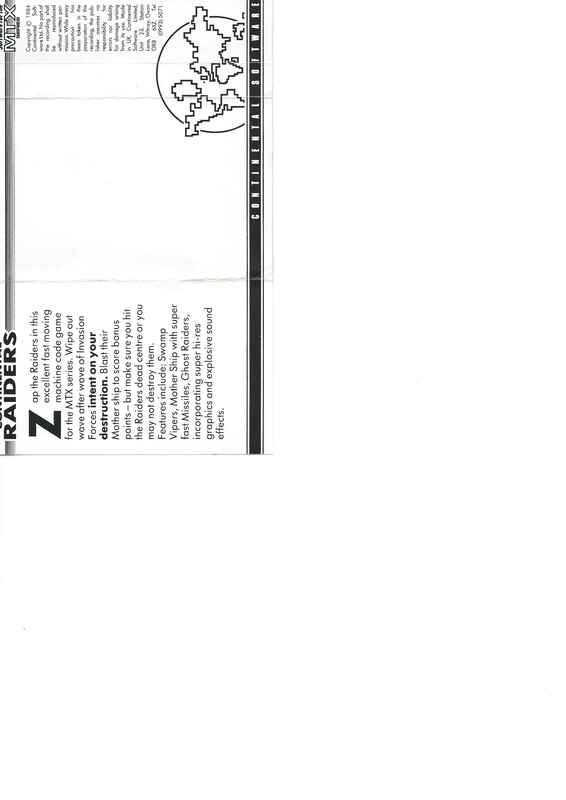 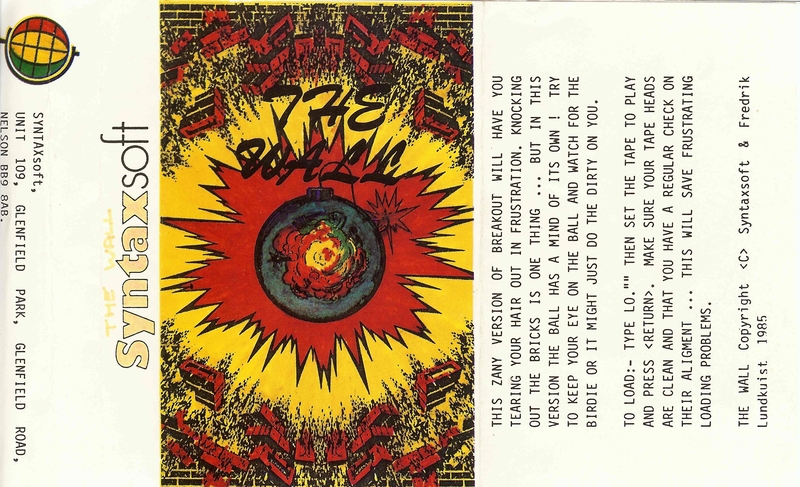 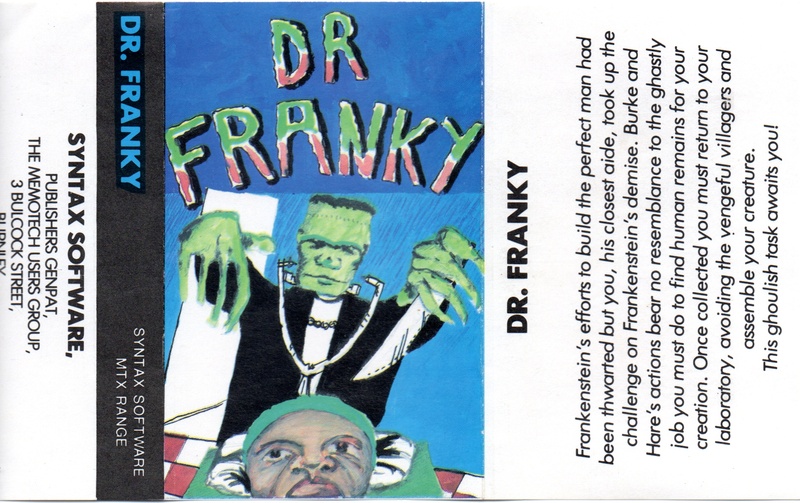 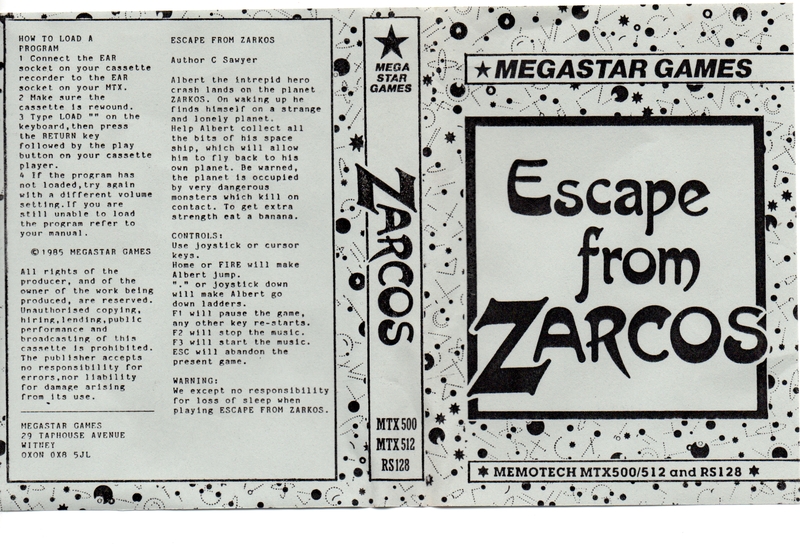 Please also let me know if you have copies of any of the Tape Inlays that I am missing. 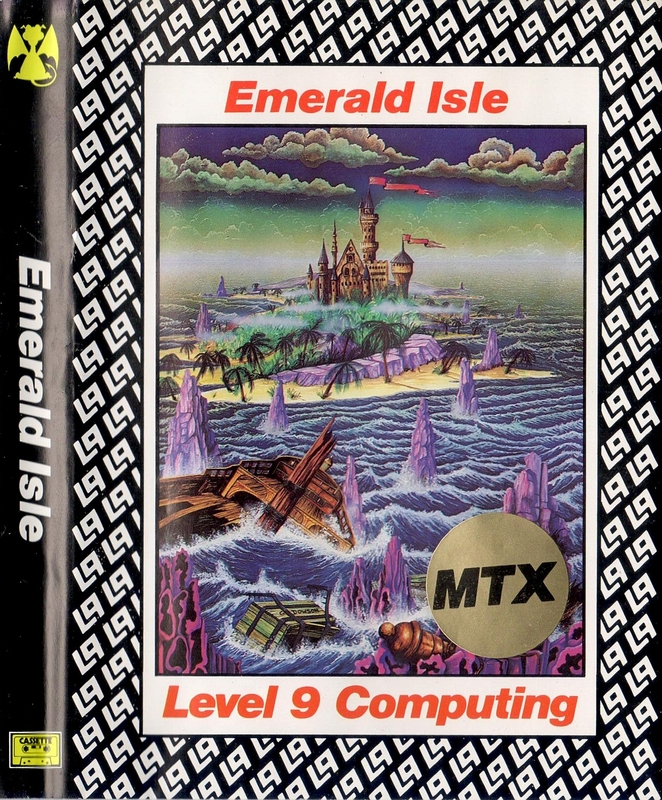 Many of the best games are available and can be run using Andy Key's "MEMU" emulator, see the MTX Emulation page for more details. 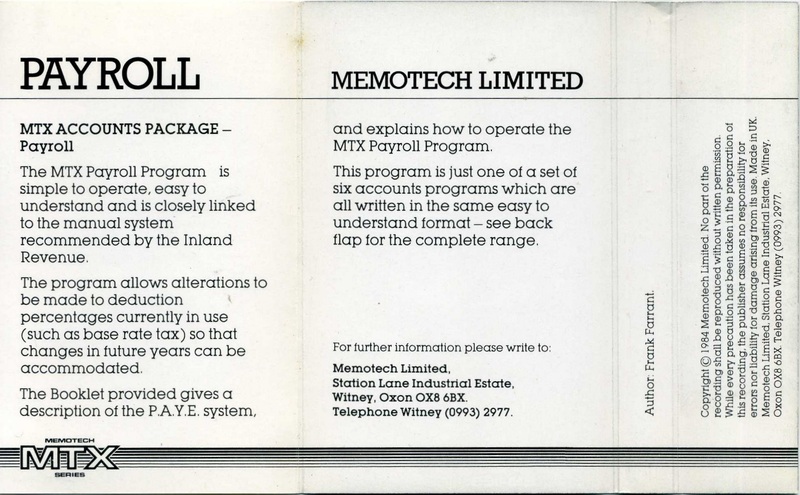 MEMU is compatible with a number of different file formats, Andy has a good explanation of the various file formats on his site. 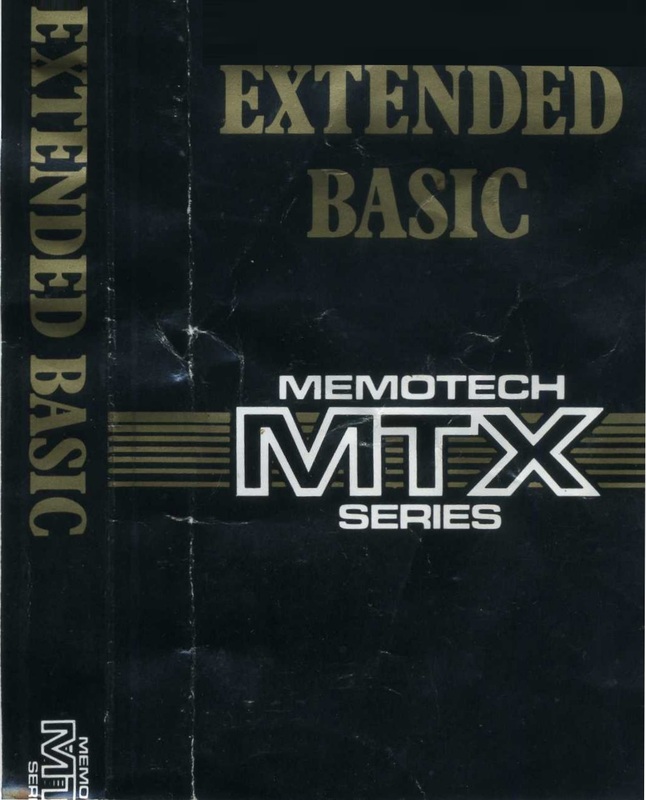 If you want an easy way to run Memotech games under MEMU, check out Paul Daniels' GameBase on the MTX Emulation page. 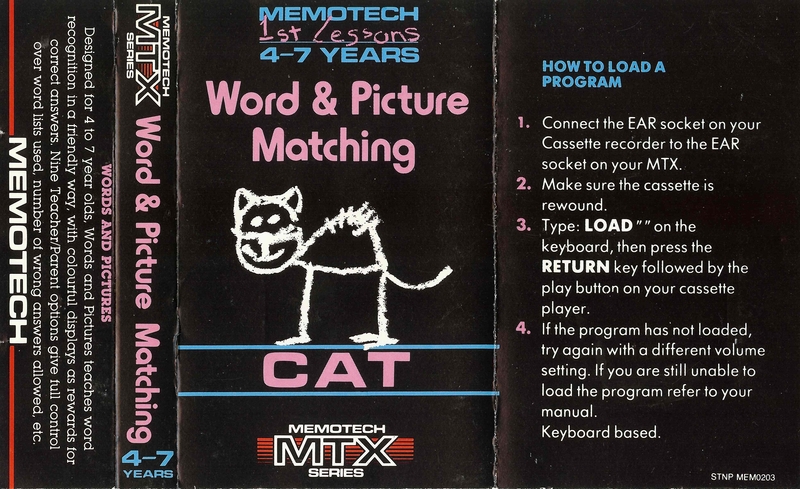 You screenshots of the software running on "MEMU", along with downloads of binary copies of the tape (.MTX) files, are available on the Software Downloads page. 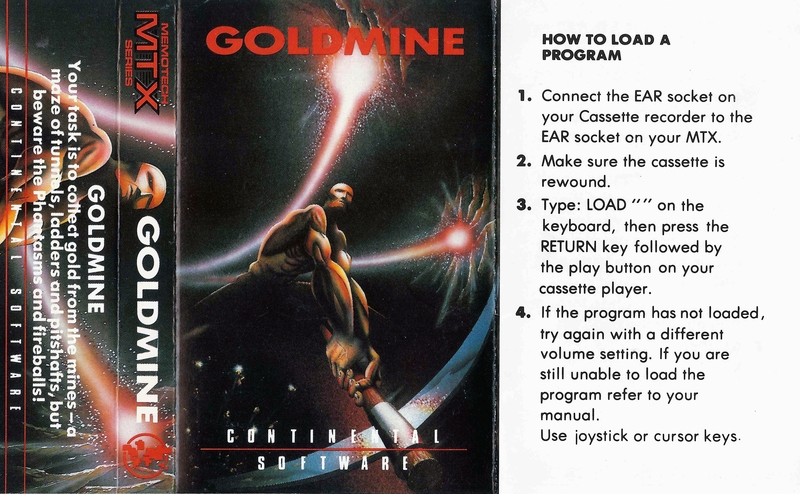 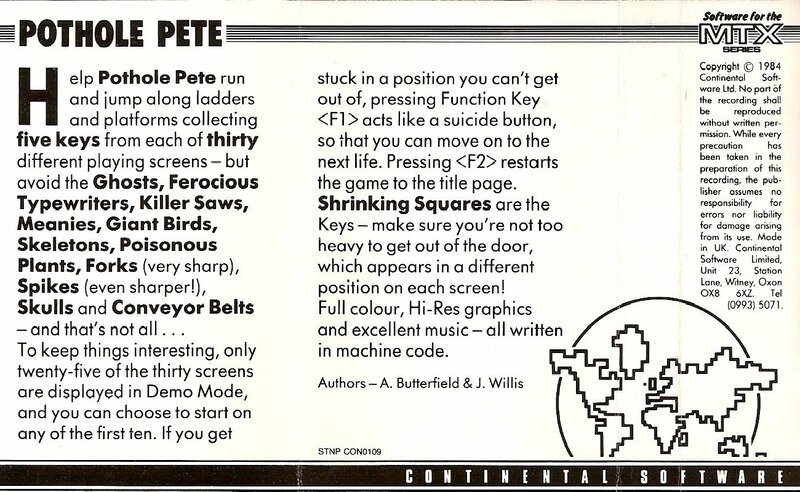 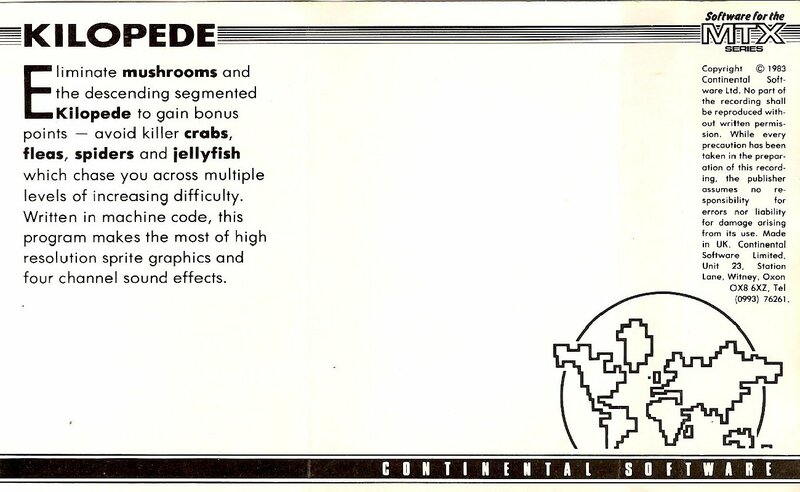 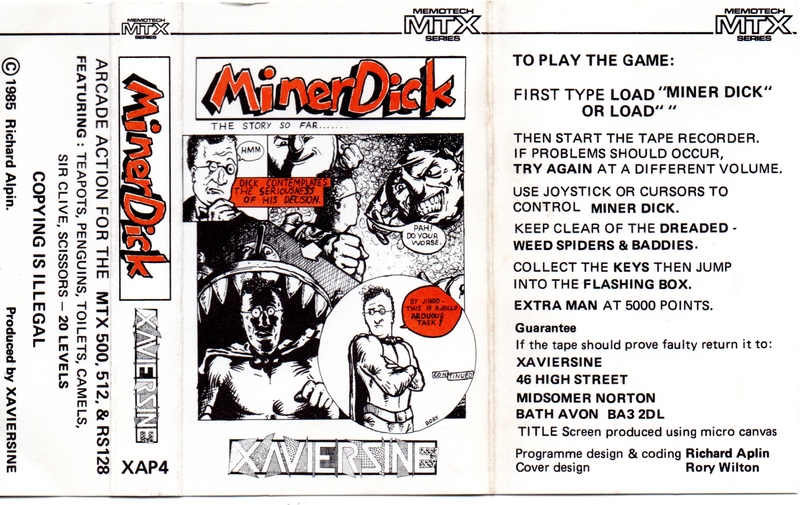 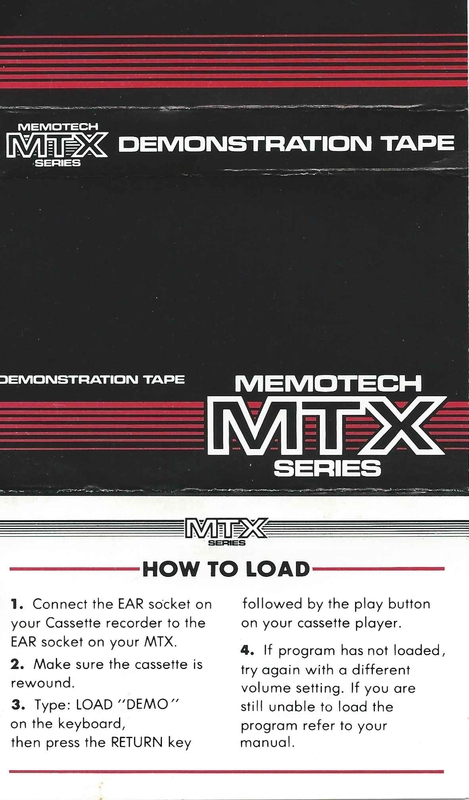 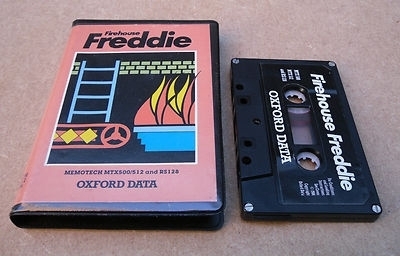 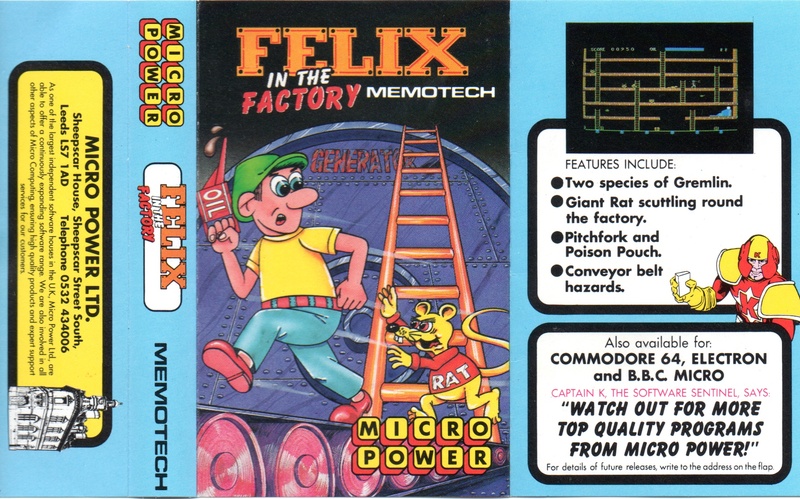 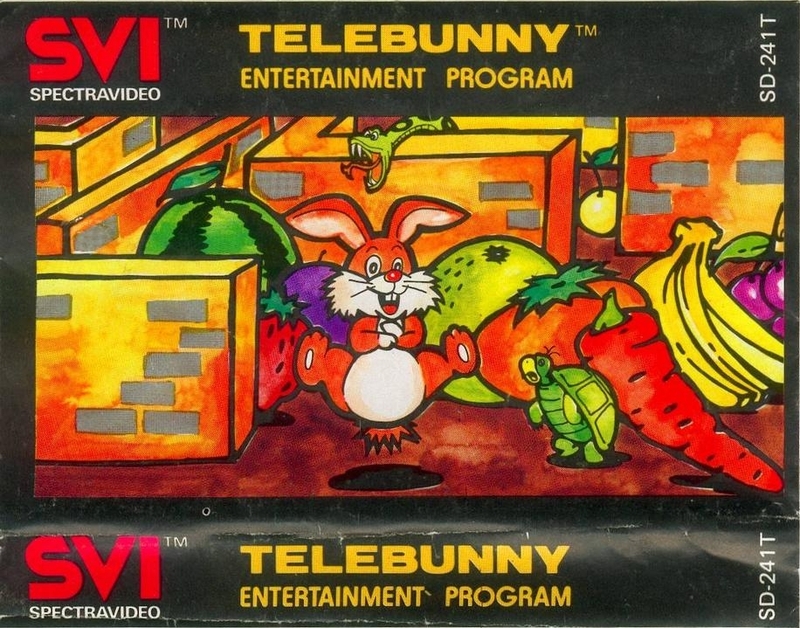 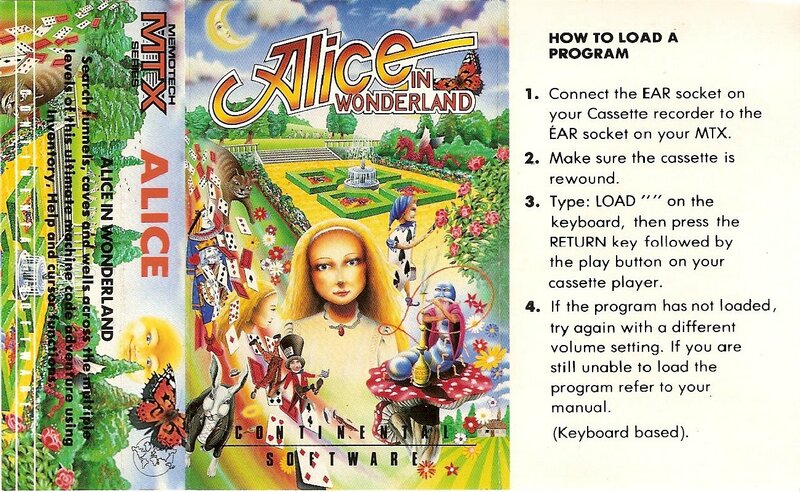 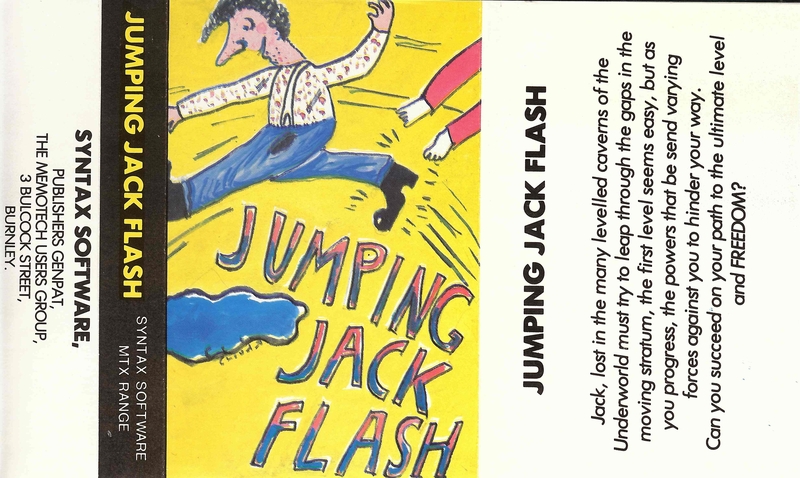 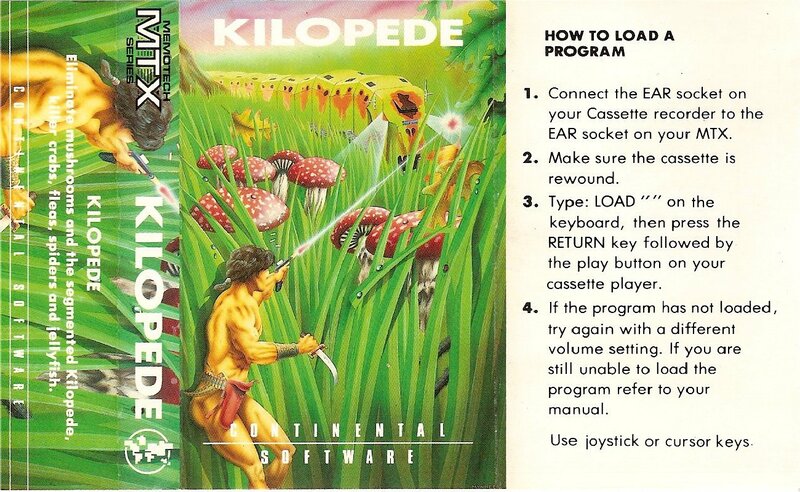 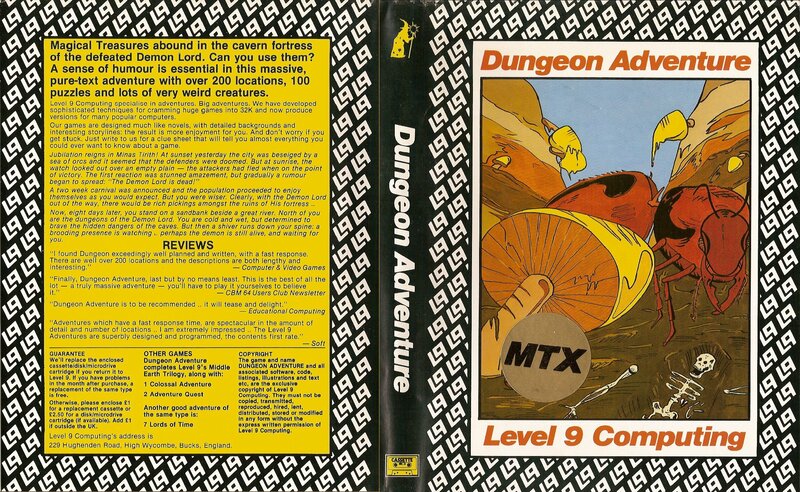 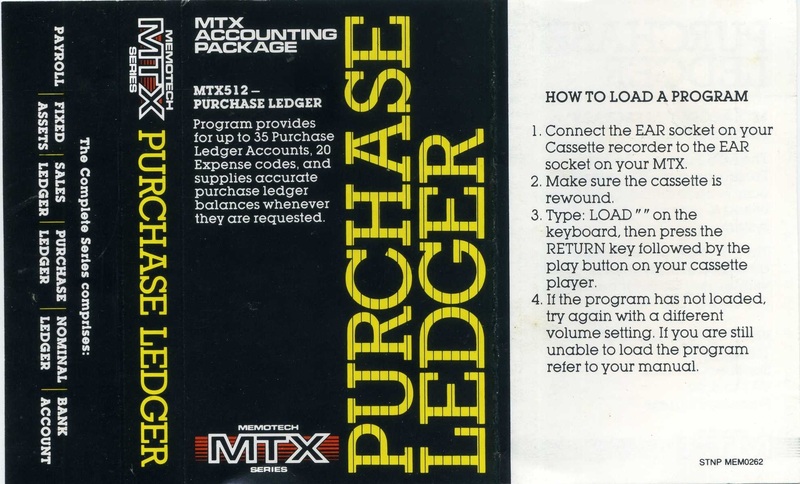 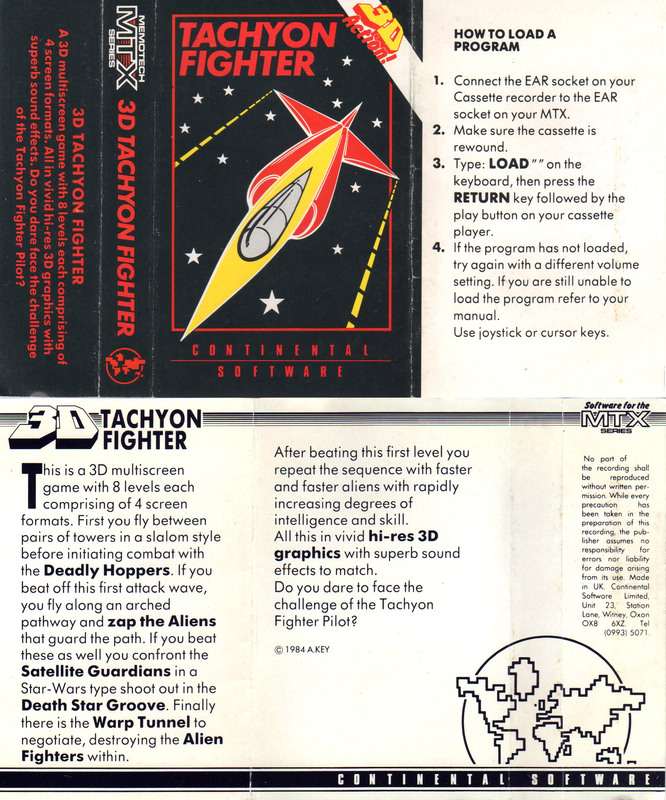 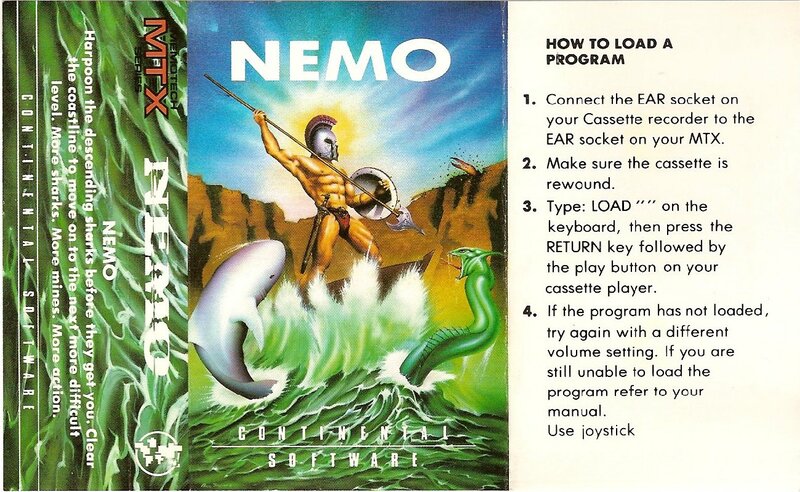 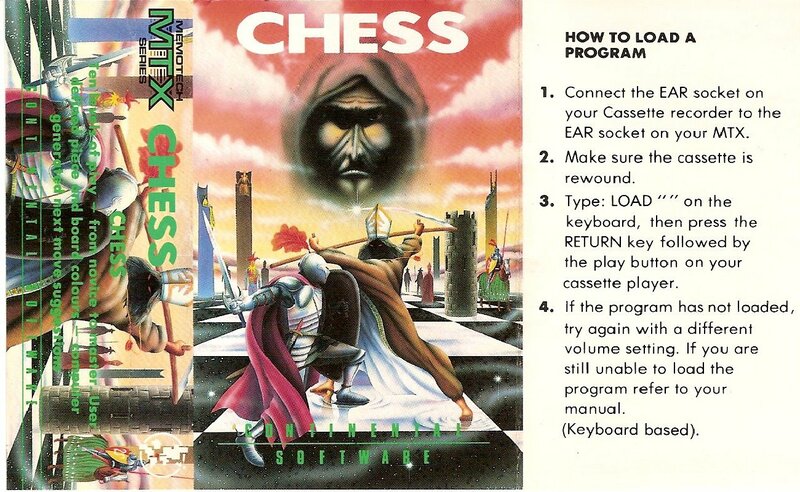 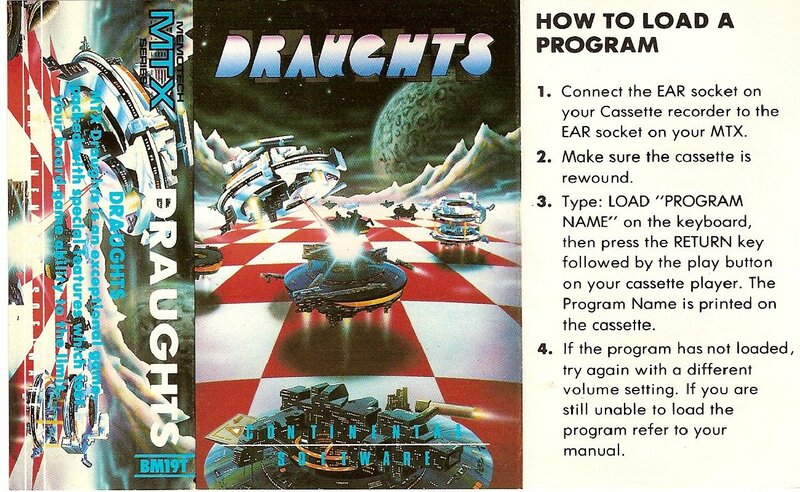 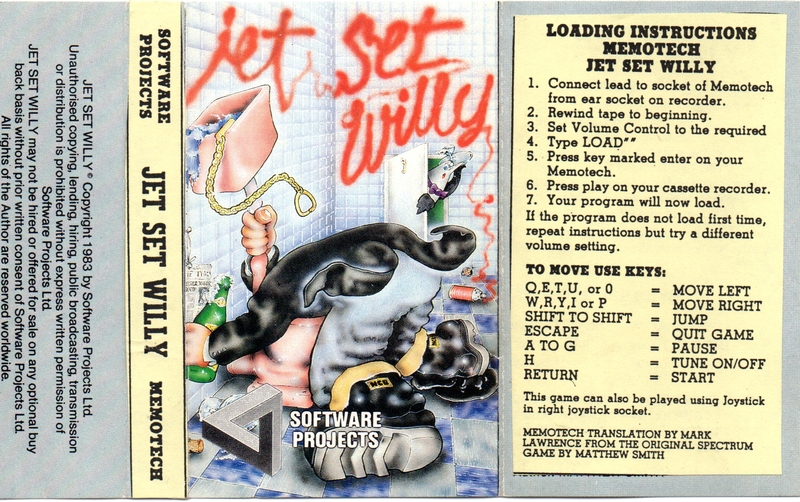 If you want to run these games on real Memotech hardware, many of them are also available in audio format for loading through the MTX tape input. 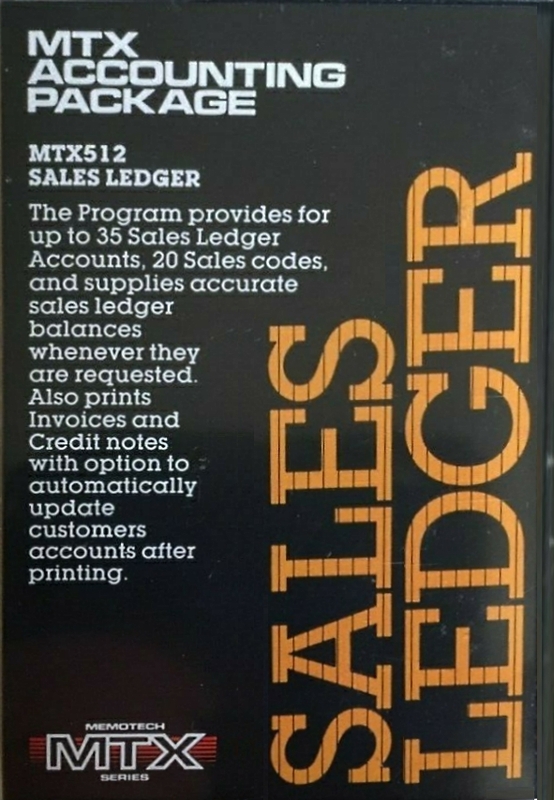 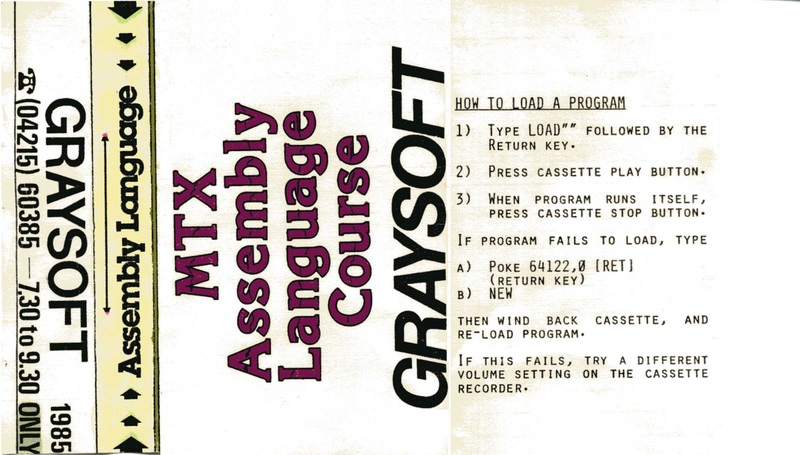 Audio files are available from MTXWorld, either as individual audio files or on a CD image for download. 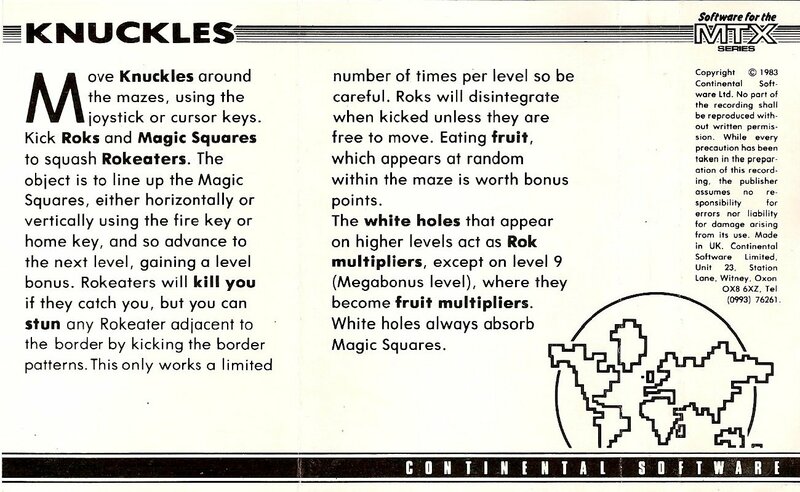 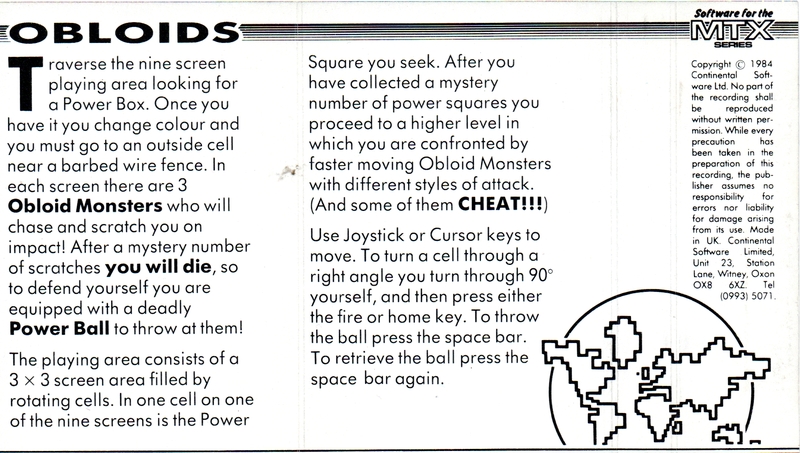 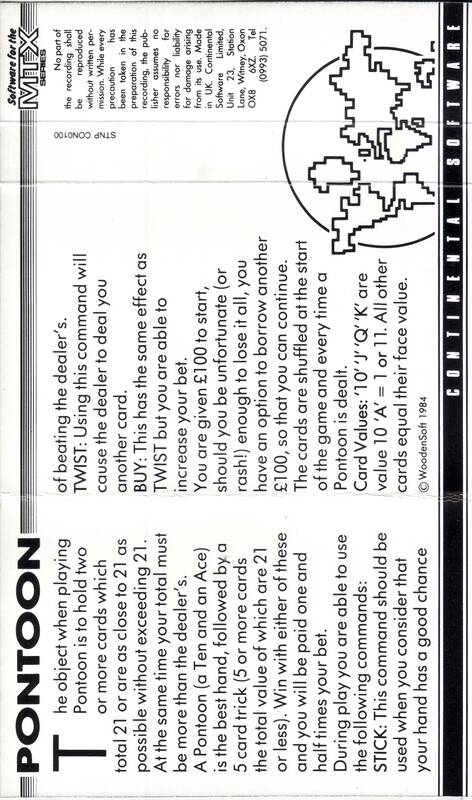 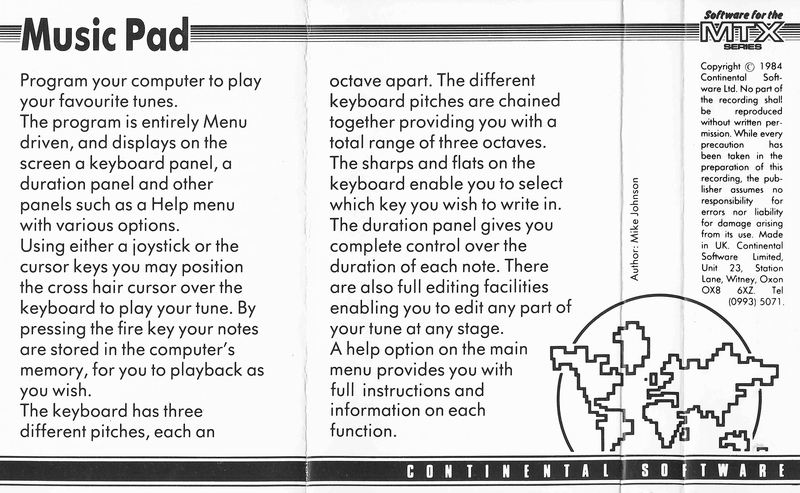 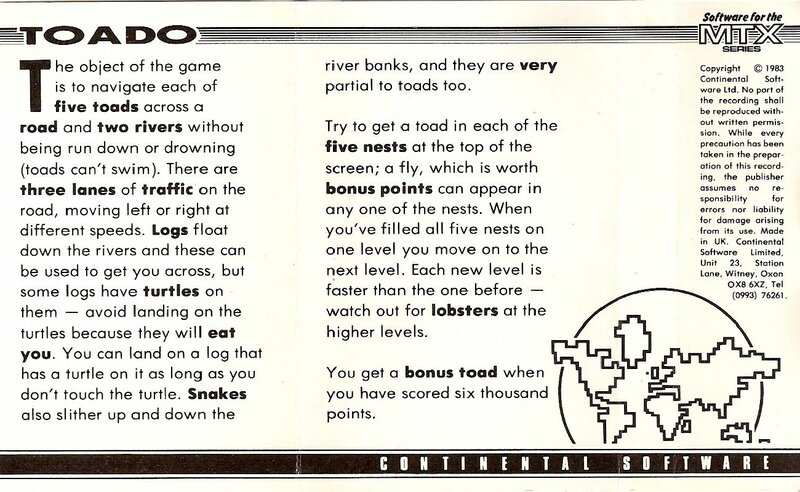 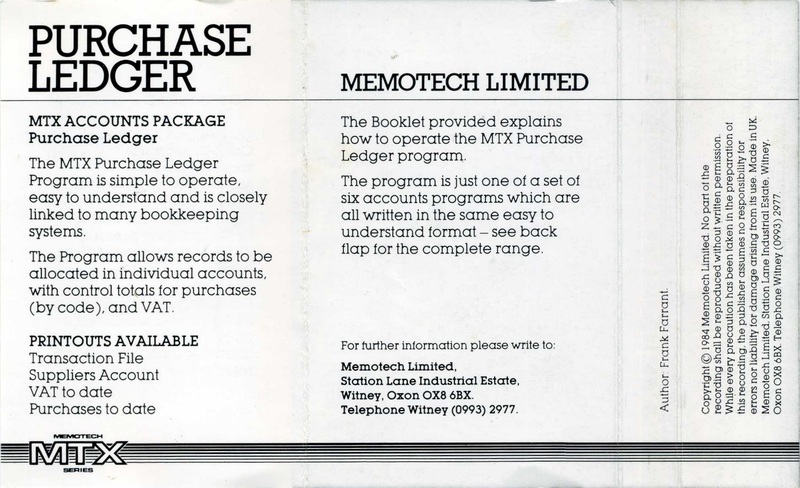 This list was mainly compiled from trawling through my old copies of "Memopad", the Memotech User's Club Magazine and from the screenshots on Andy Key's site. 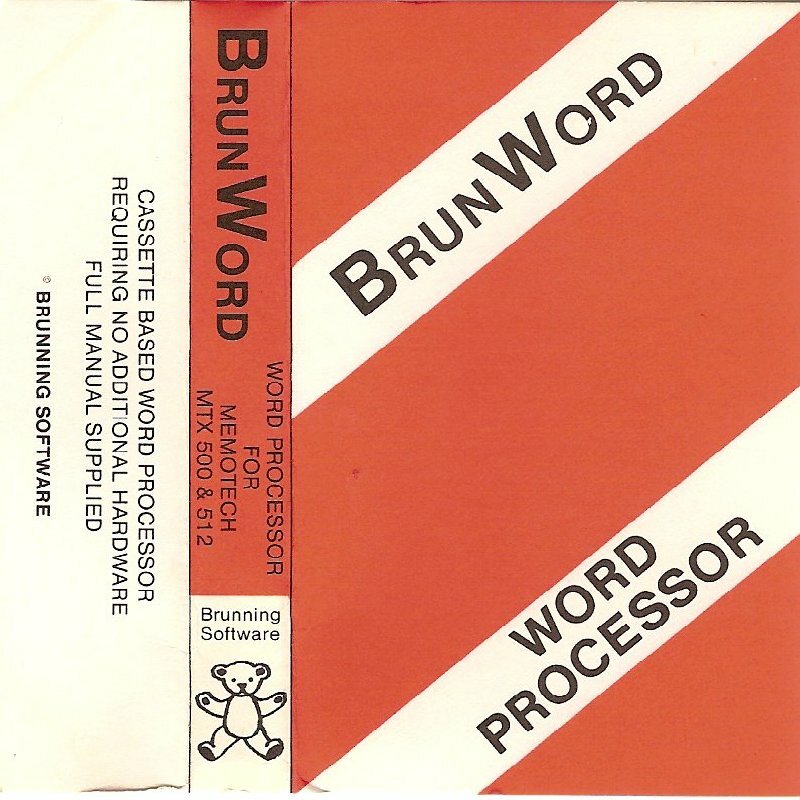 I have only listed the titles from Memopad that were priced and marked as "in stock", there are a number of others, but I suspect that they were "vapourware". 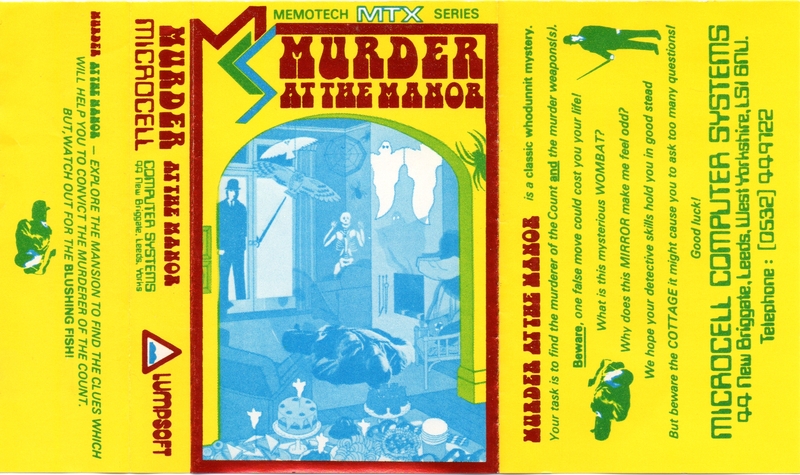 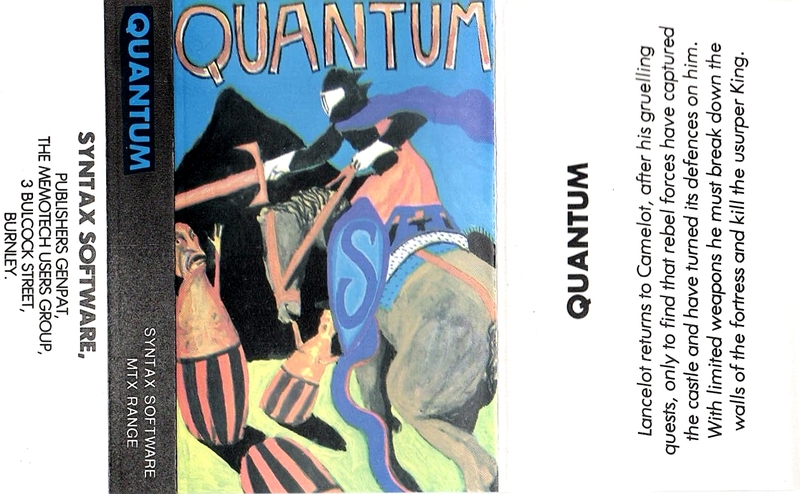 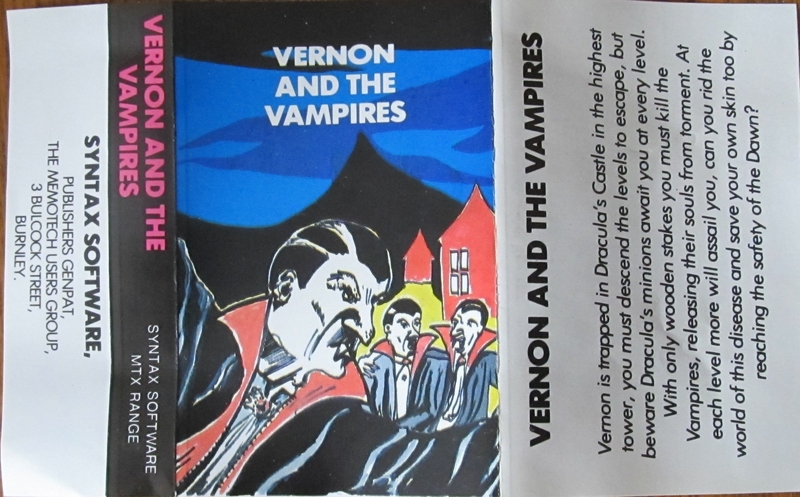 Some of the titles have tape cover/inlay images available, either supplied by Paul Daniels, Diarmid Gibson, or cut from some of the eBay adverts that have been listed recently - the quality of the latter ones are obviously not very good but will give you an idea of what the tape inlays looked like until I get hold of a better copy of the original. 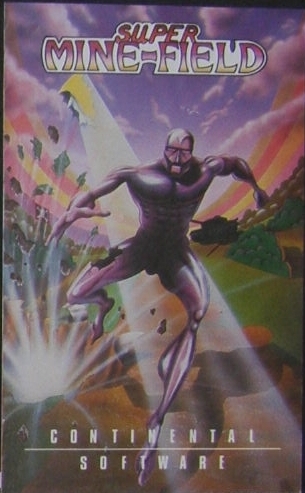 If you click on the image, a full size image will open. 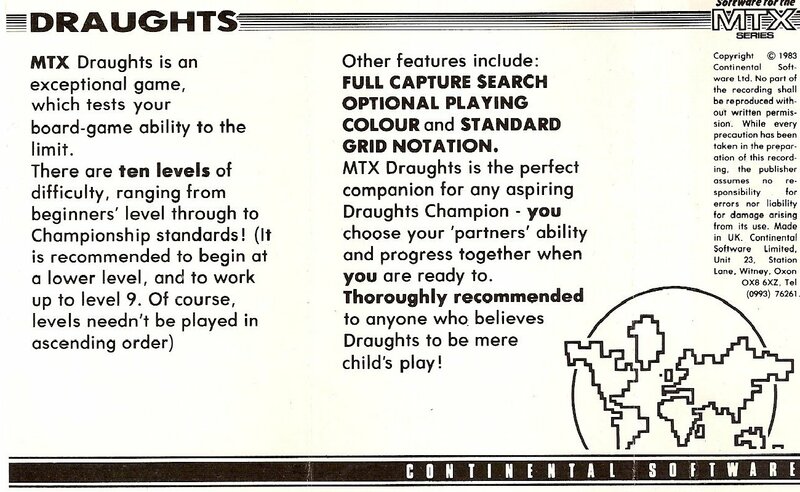 Subsequently, Paul Daniels has done a much more detailed investigation of the potential MTX software catalogue and developed a spreadsheet to record his results, the spreadsheet identifies a much larger collection of "missing" software titles, again, if you have any of these, please get in touch. 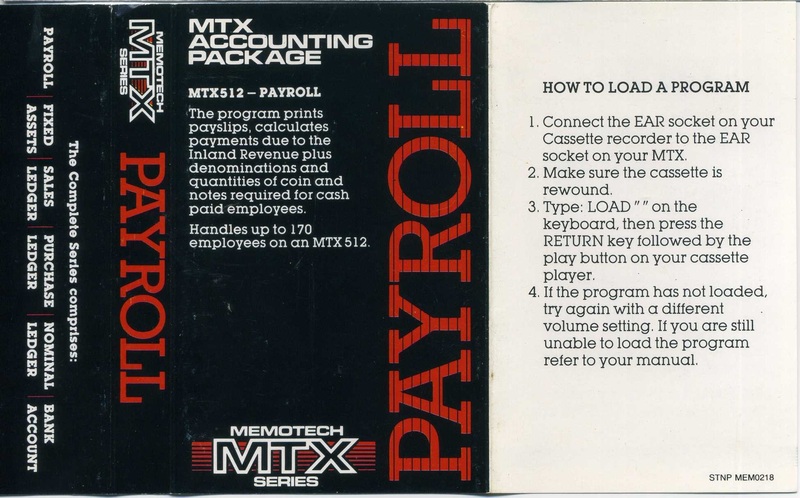 Most of the software below is available in a variety of formats, including tape files (".mtx"), sound files (".wav", ".mp3) etc. 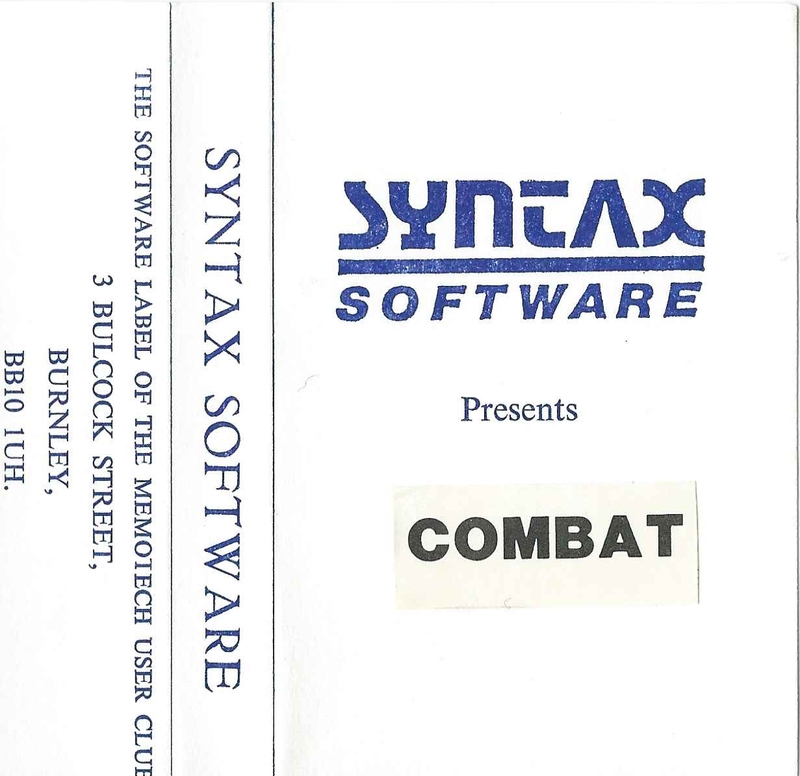 However, there are quite a few titles that I don't have copies of (the ones shown in the grey cells) - if you can help, please get in touch. 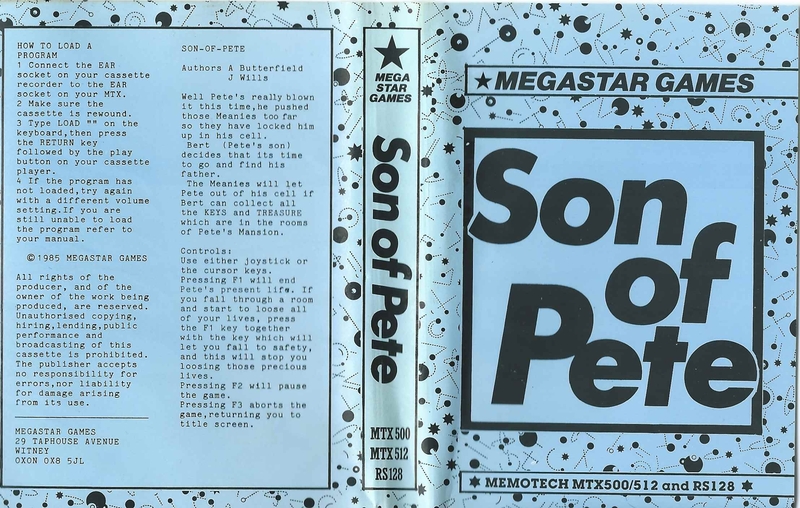 Steve Benway (Retro Gaming Collector) has recorded YouTube videos of some of the games, if you do a search for Memotech on YouTube, you'll find them, or you could try this link. 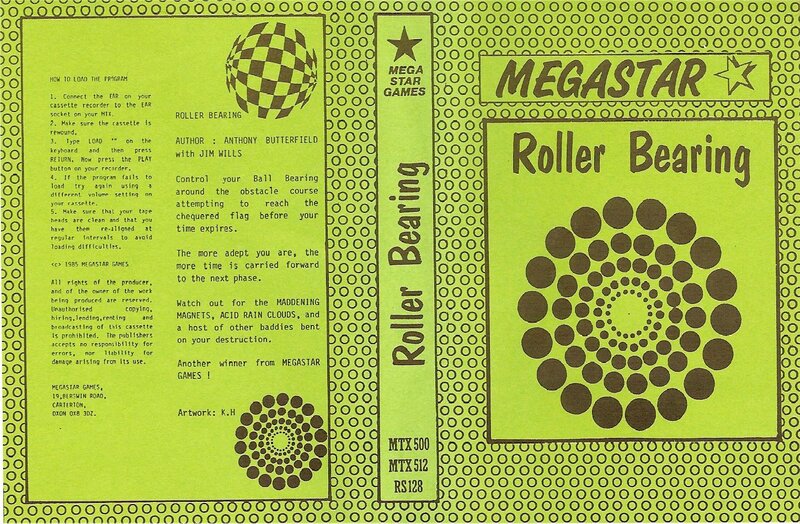 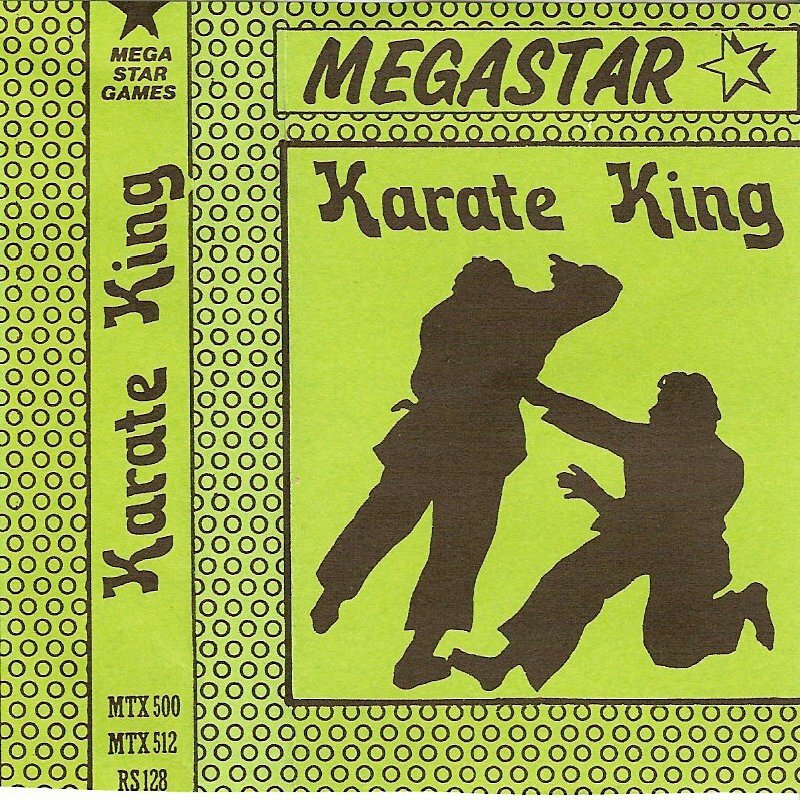 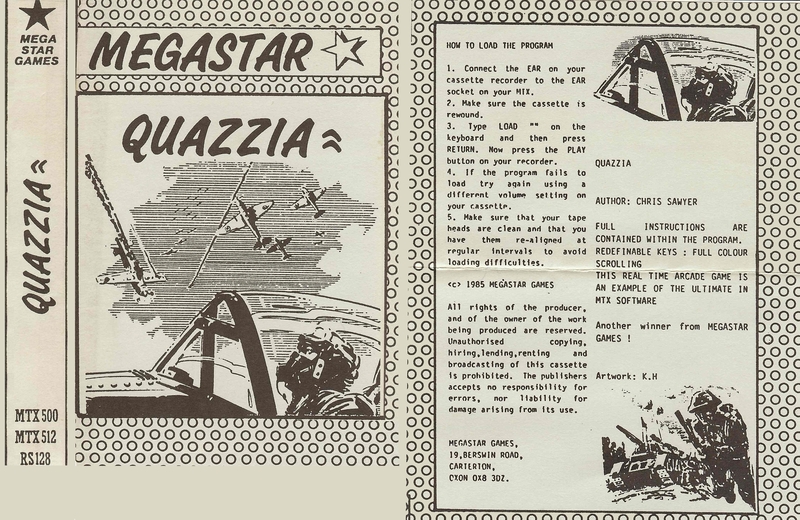 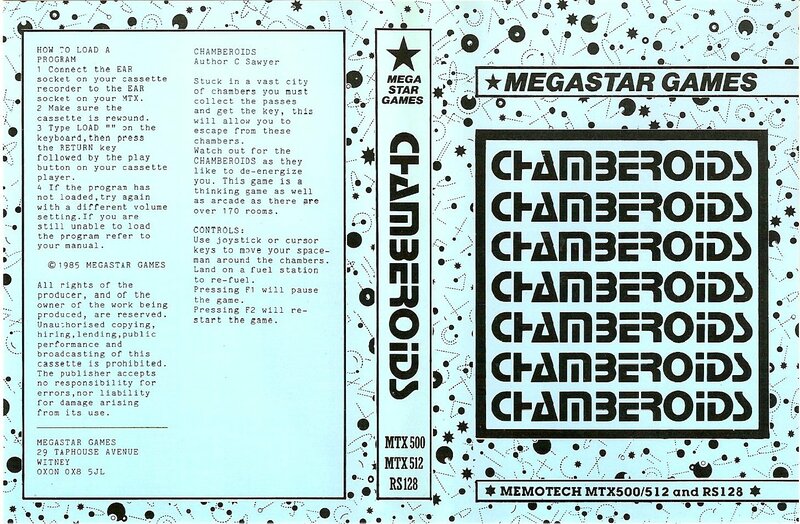 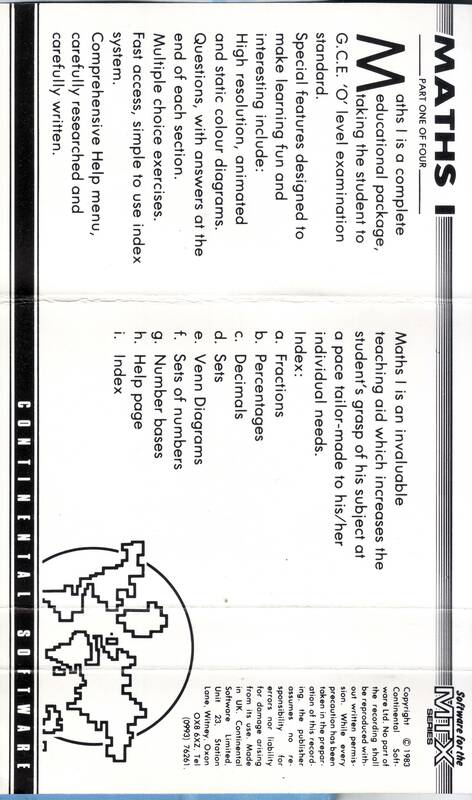 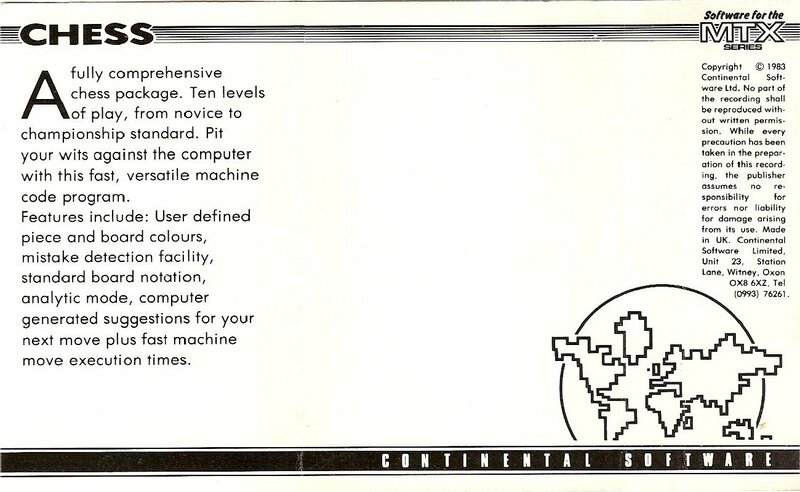 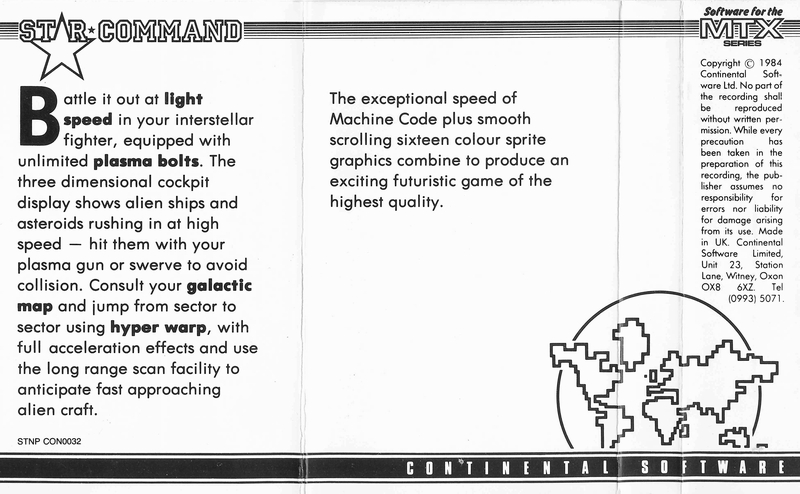 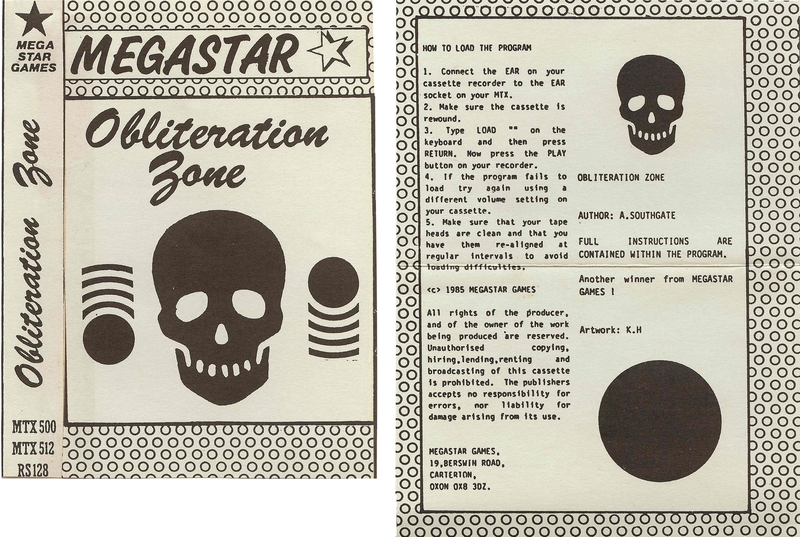 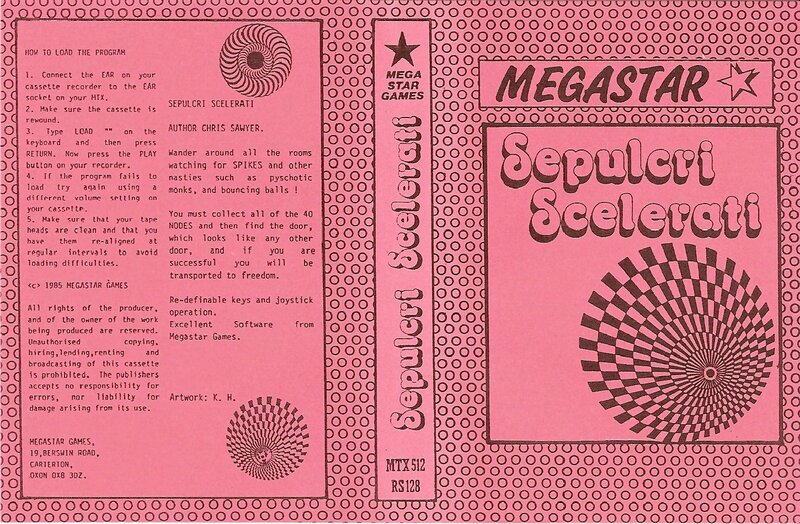 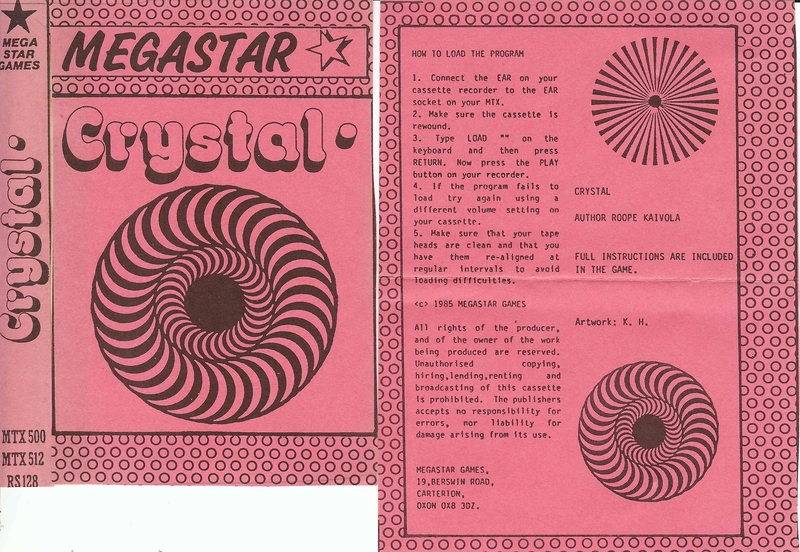 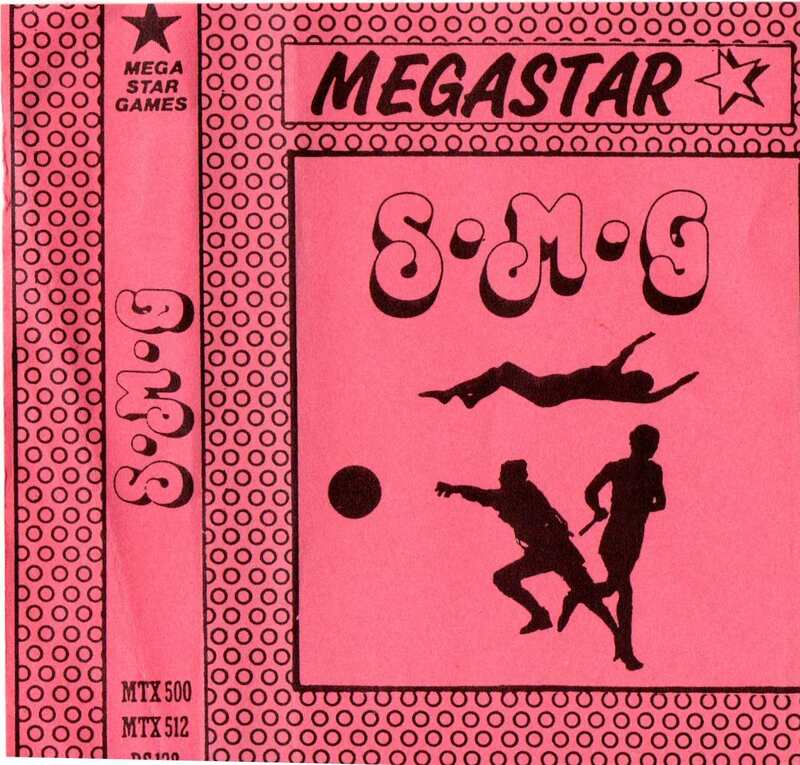 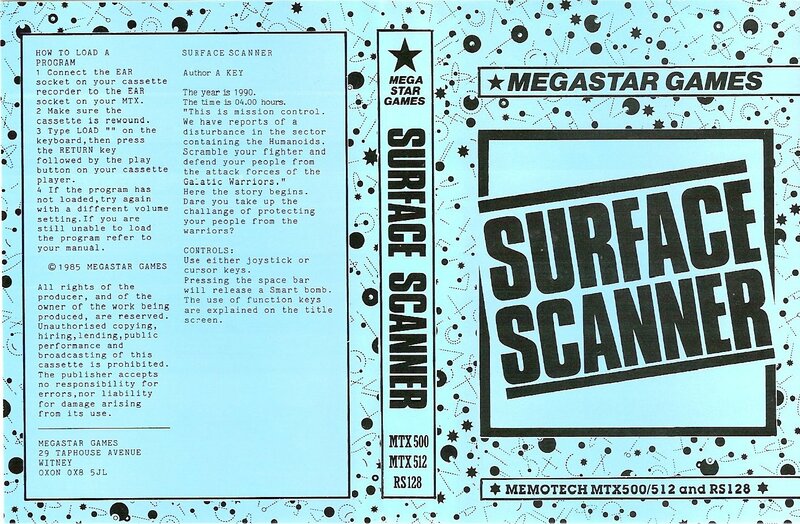 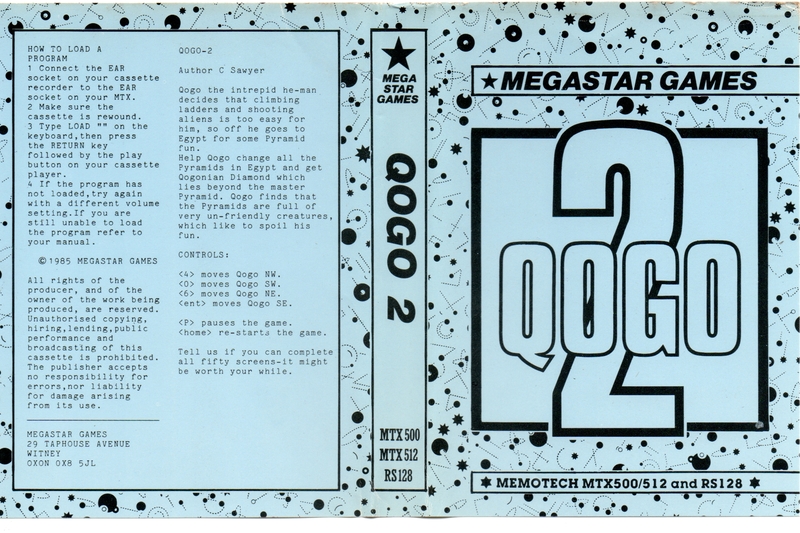 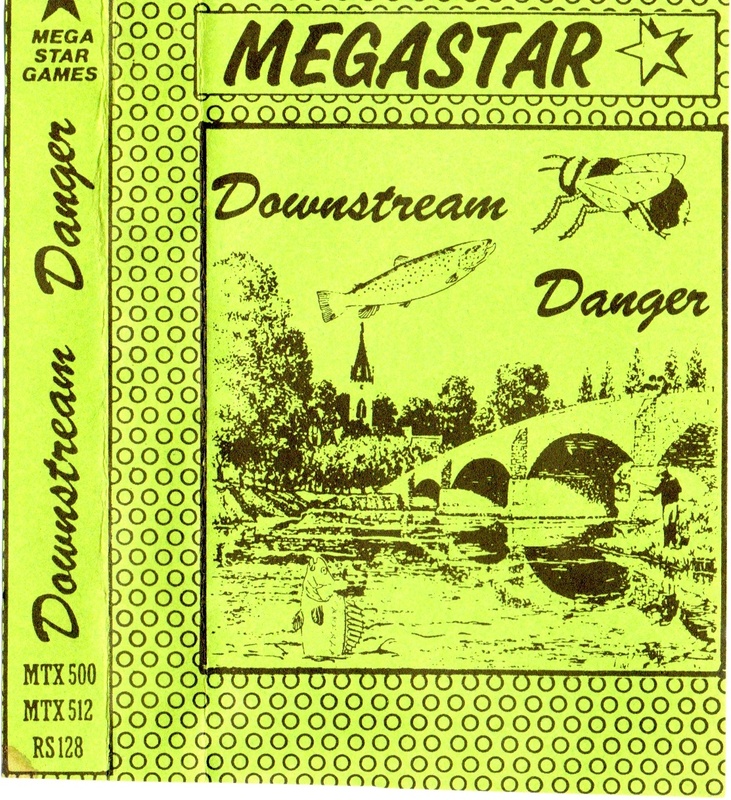 Did Megastar and/or Syntax Soft just use whatever colour paper that they had at the time? 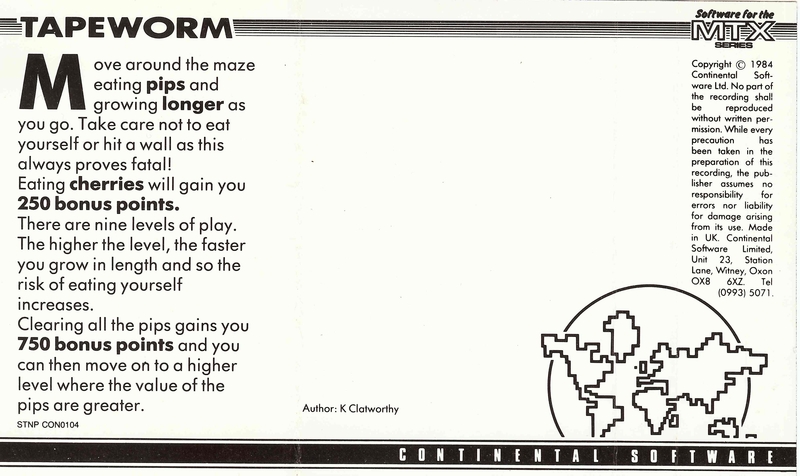 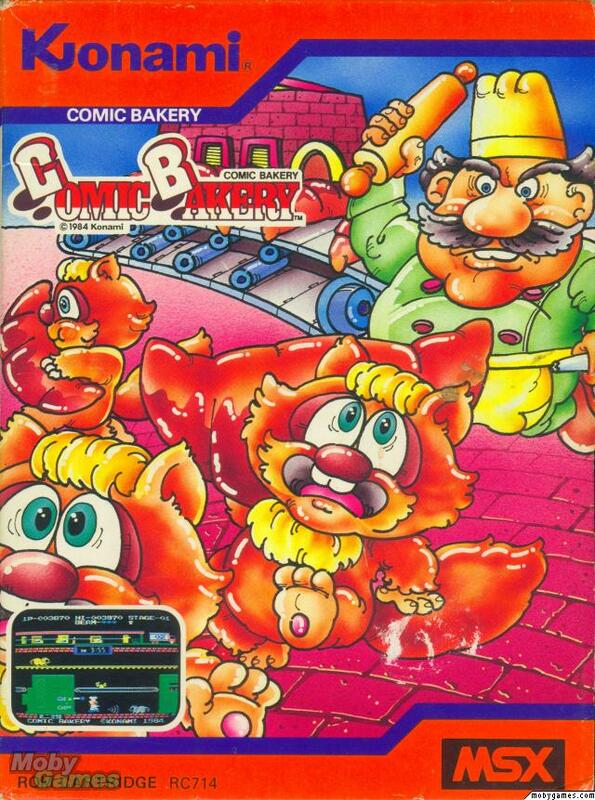 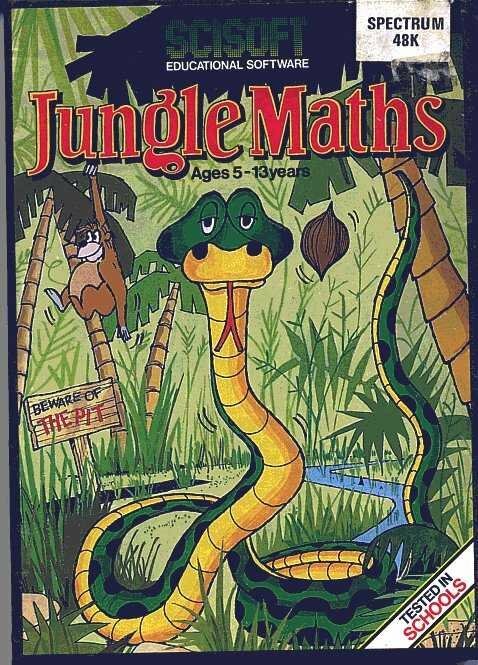 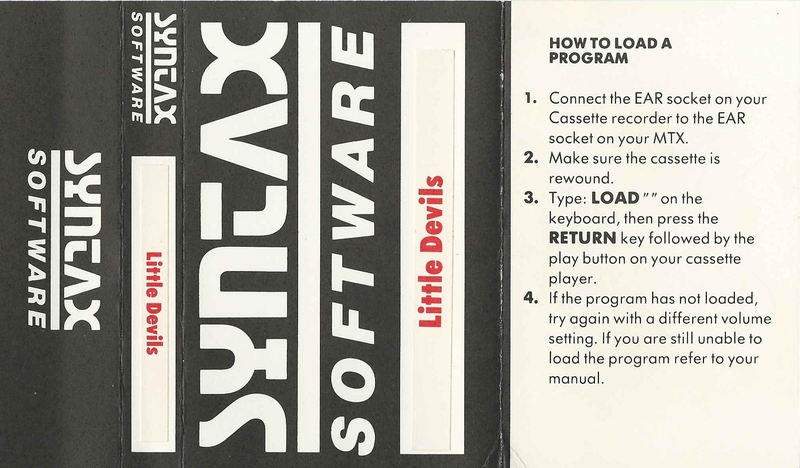 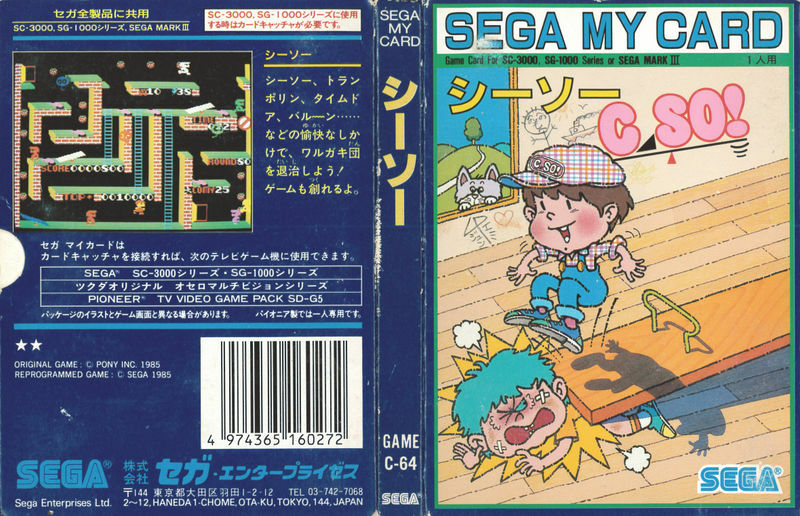 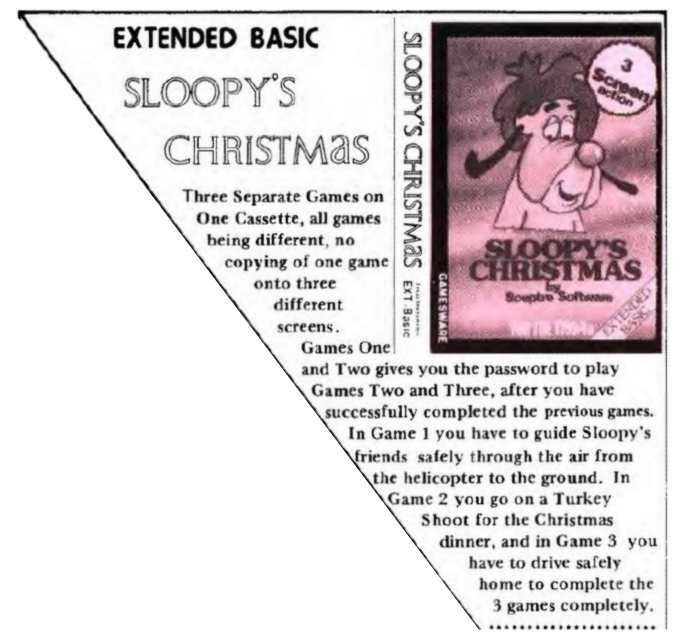 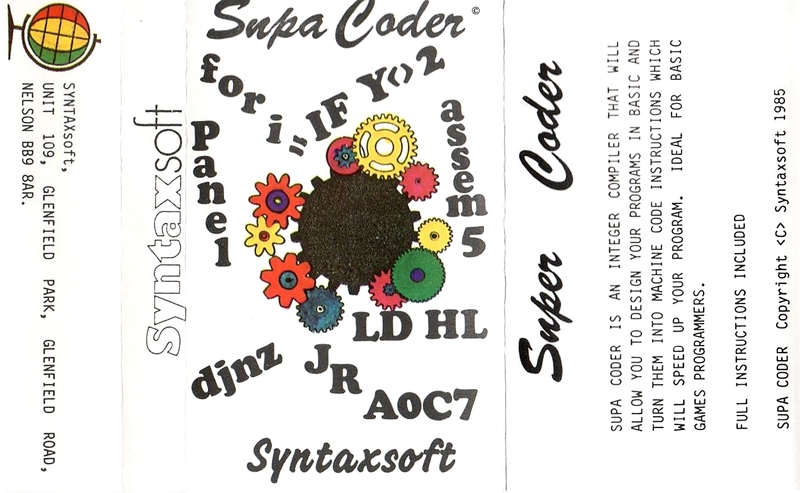 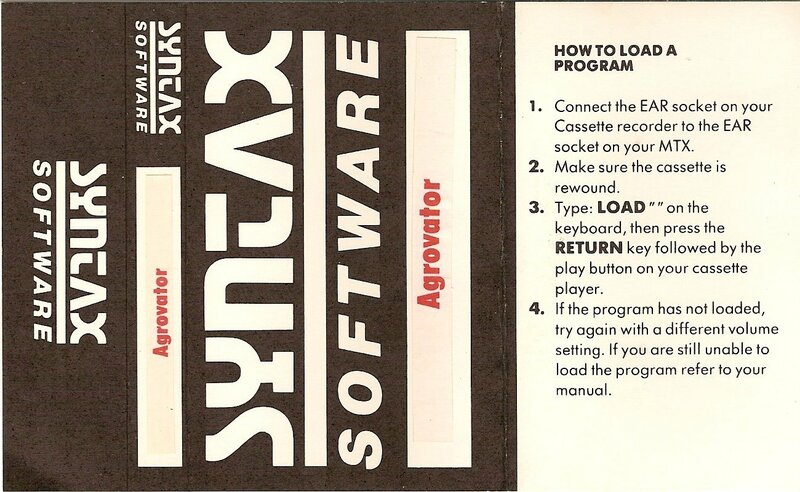 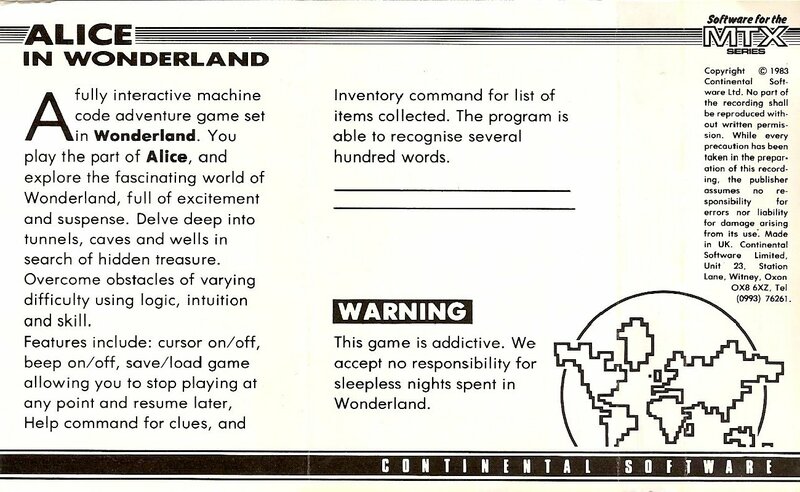 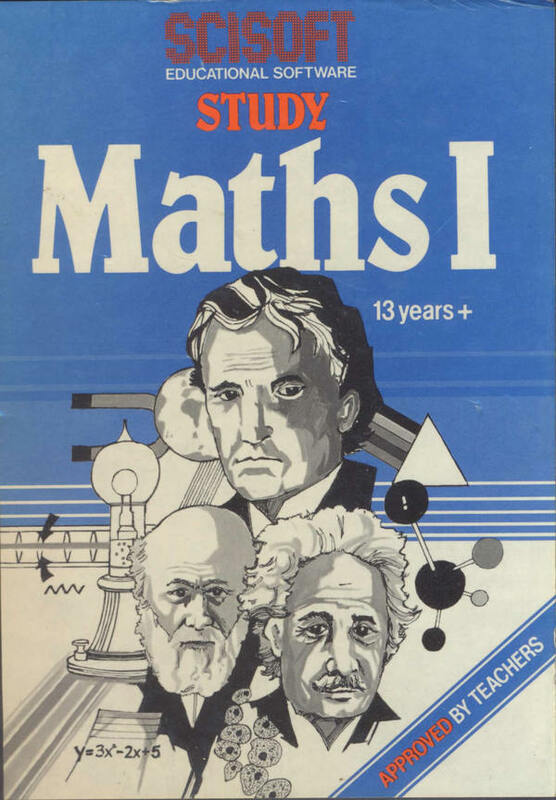 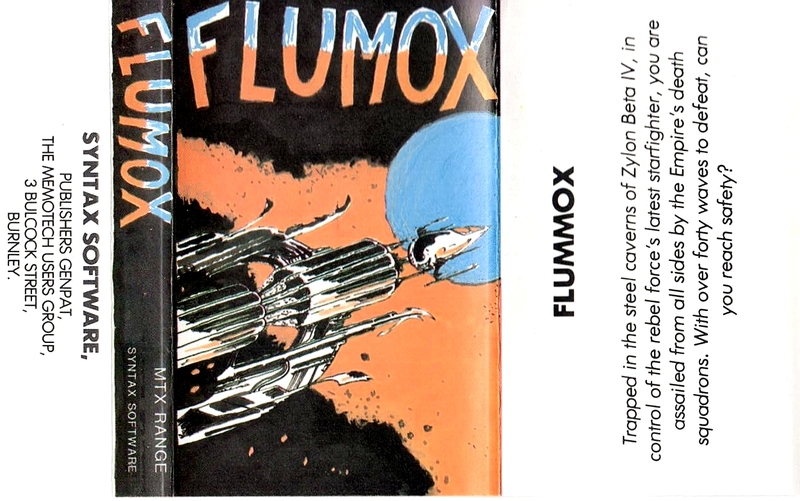 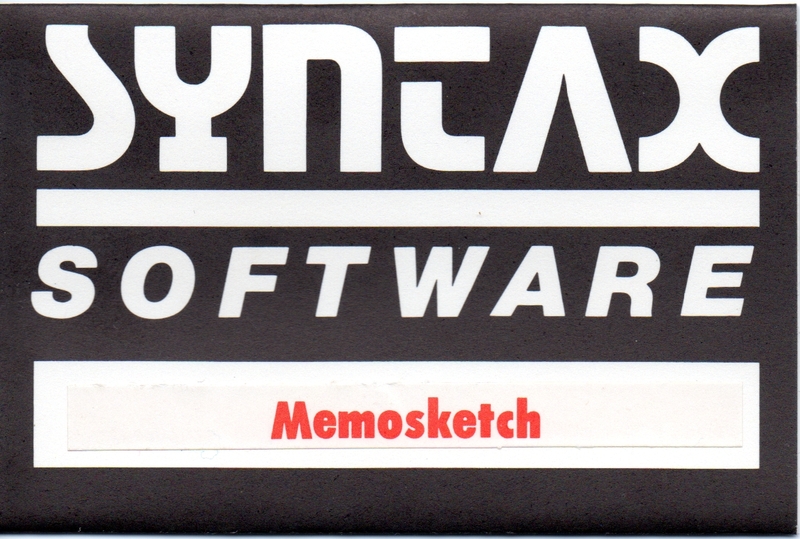 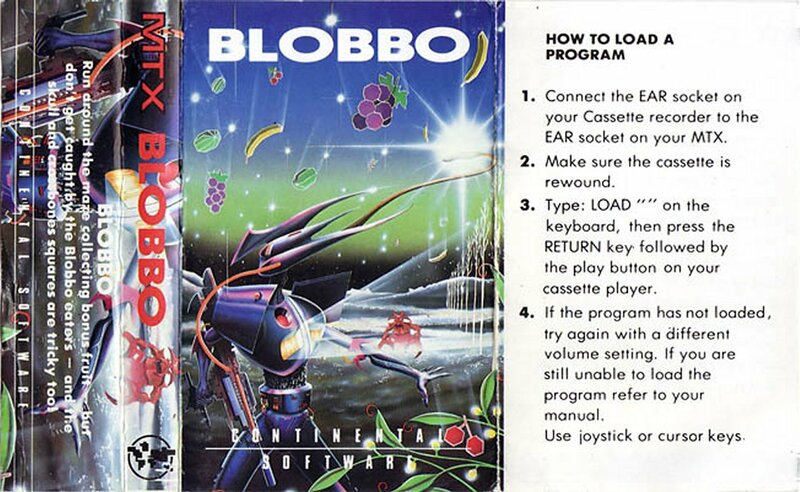 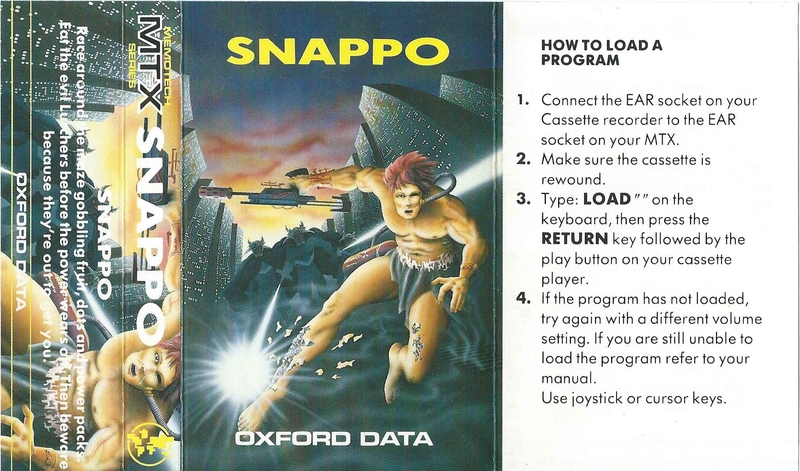 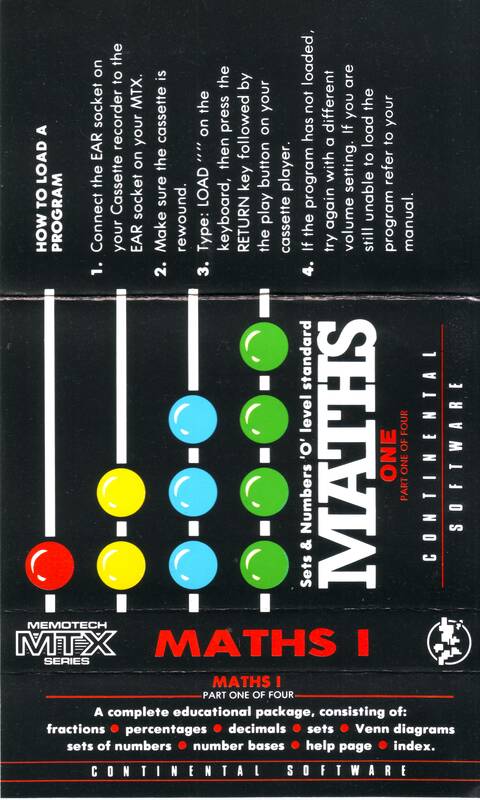 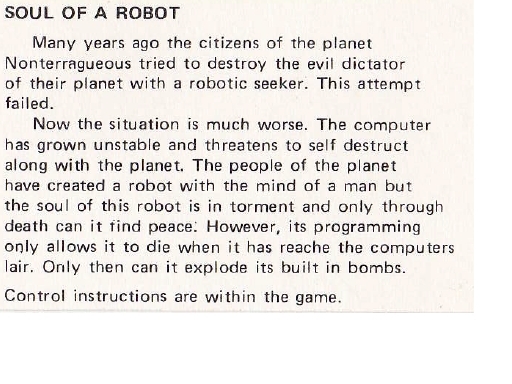 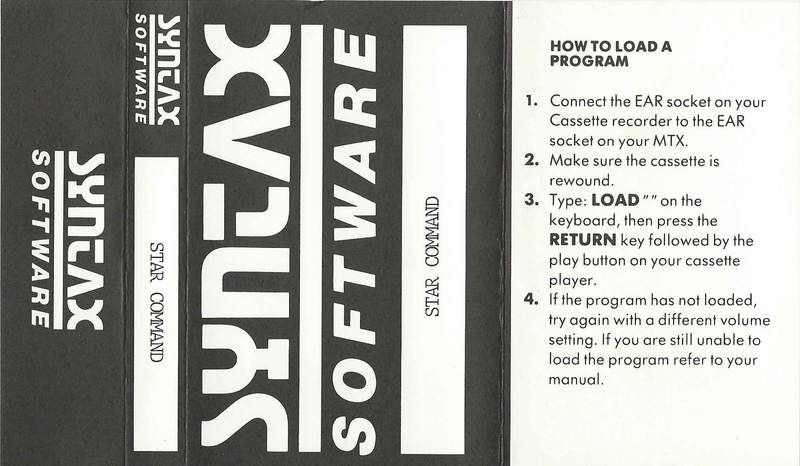 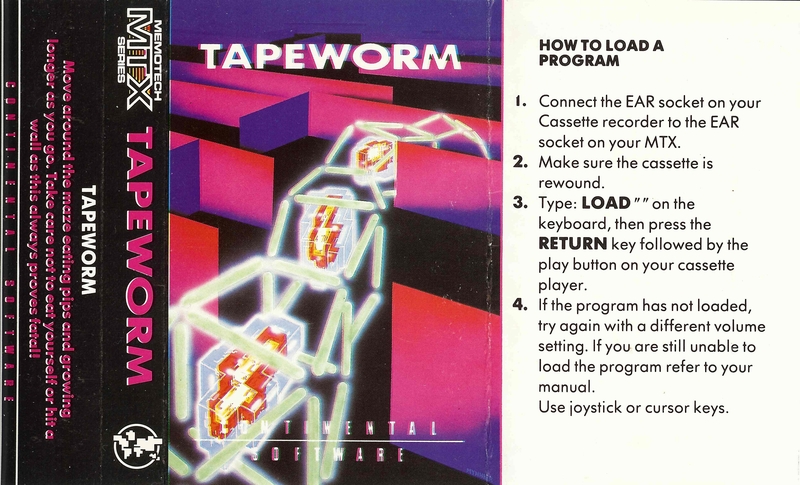 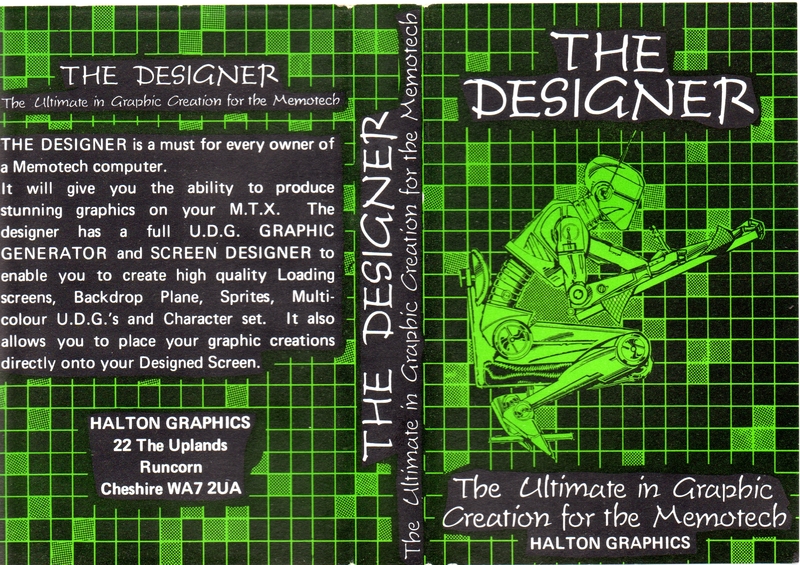 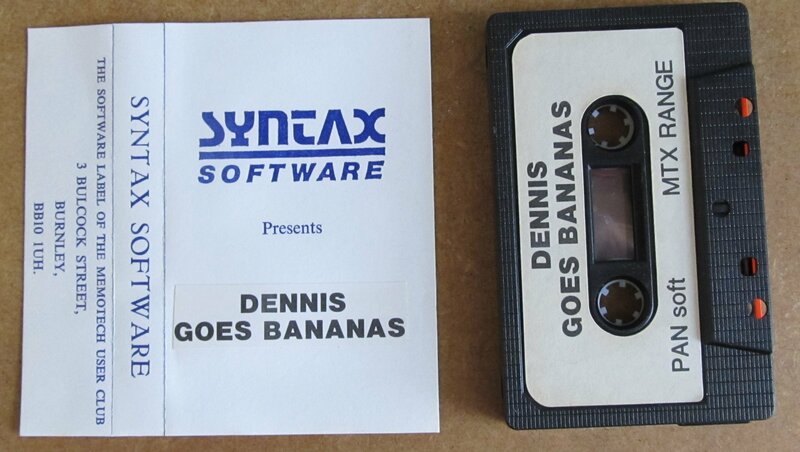 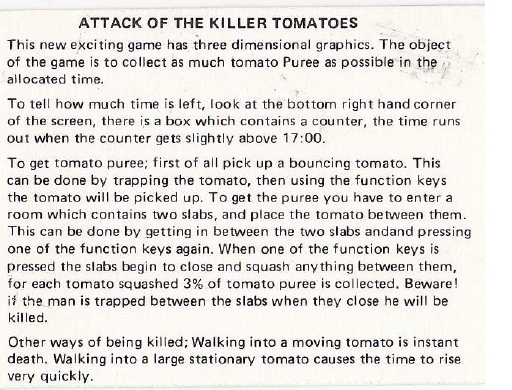 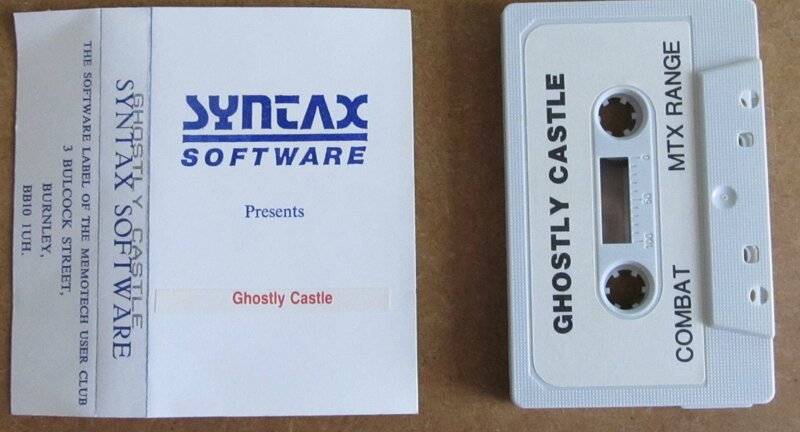 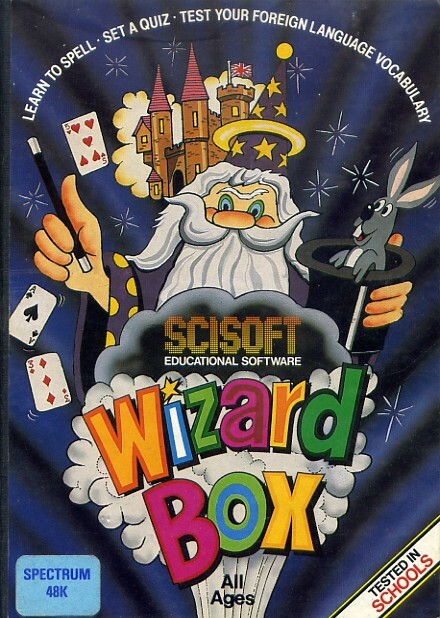 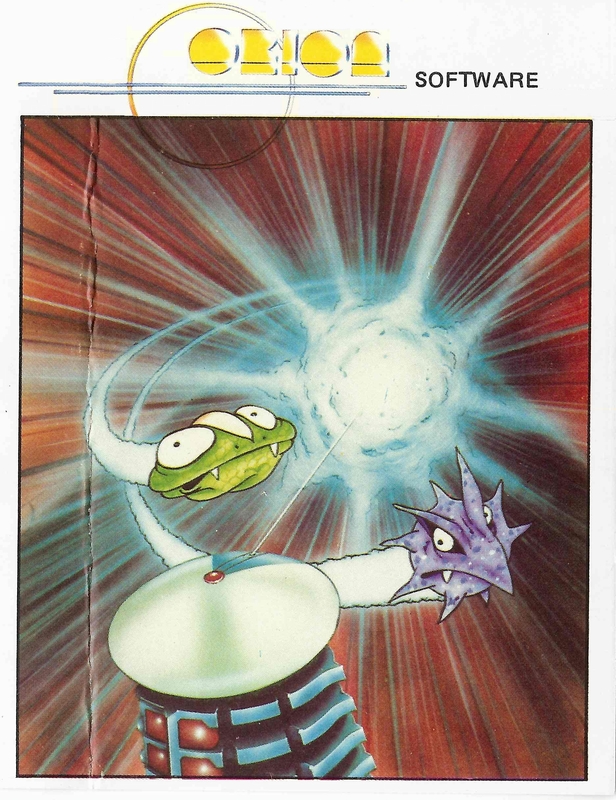 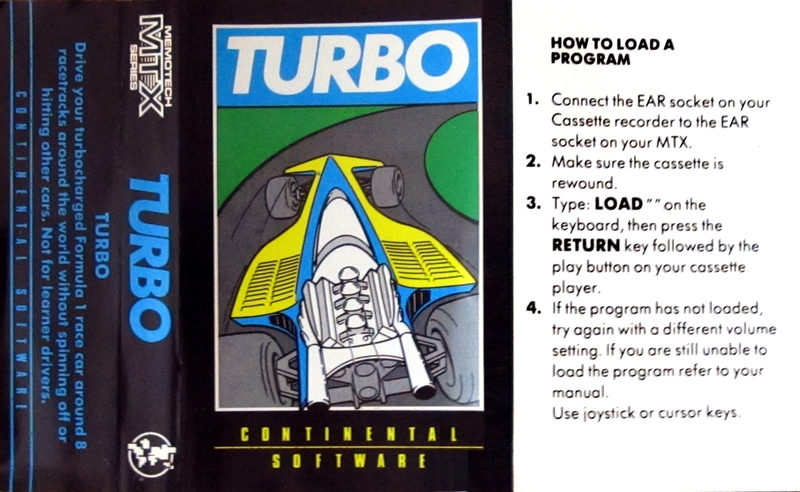 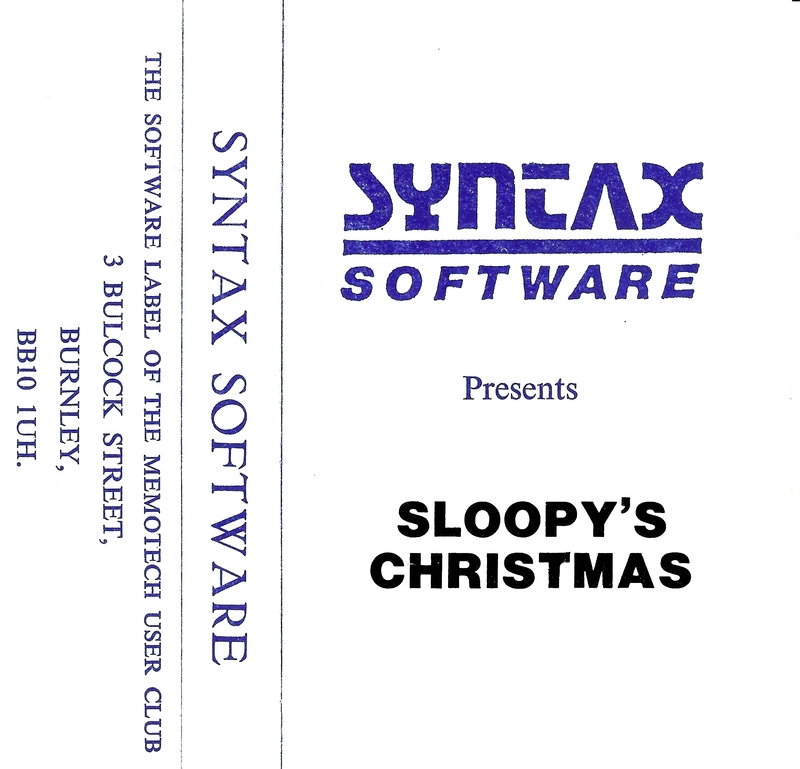 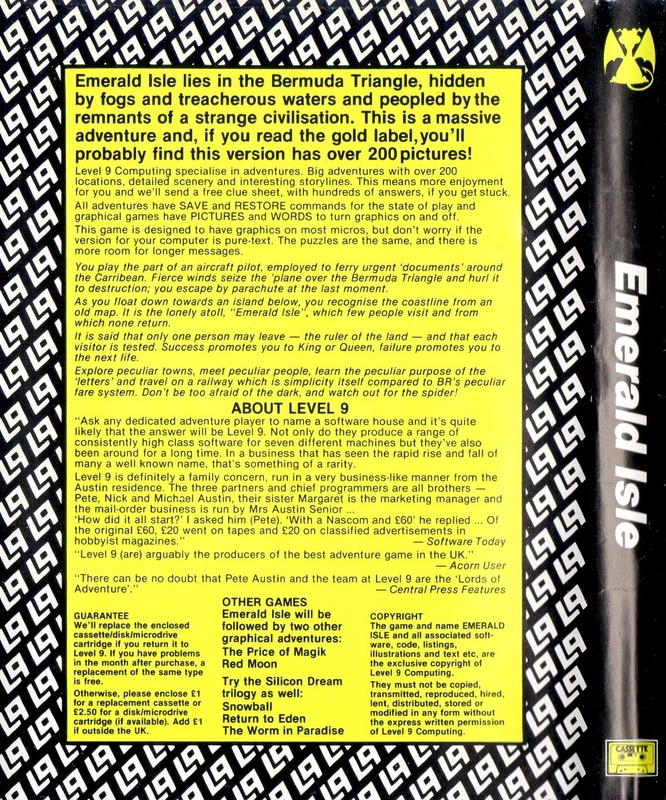 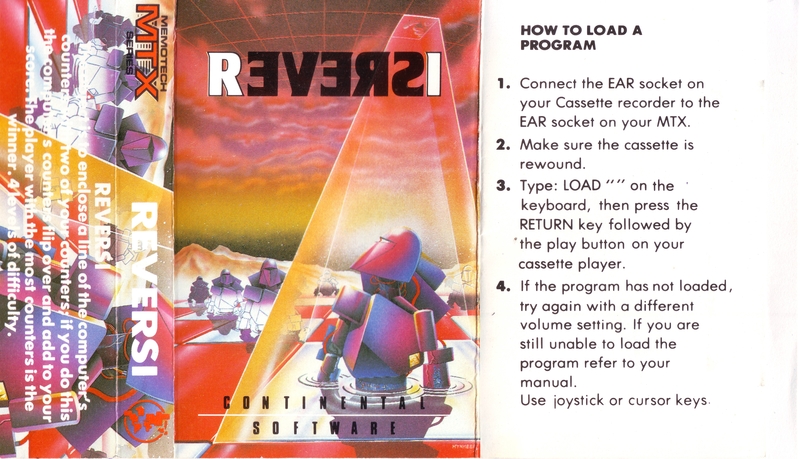 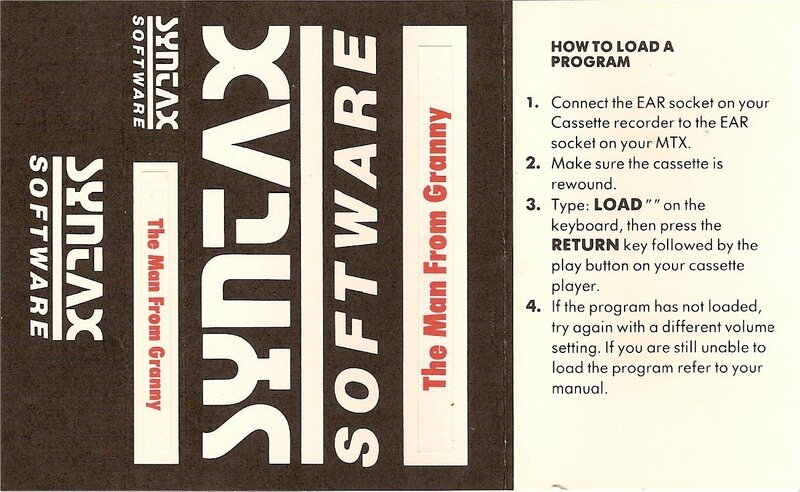 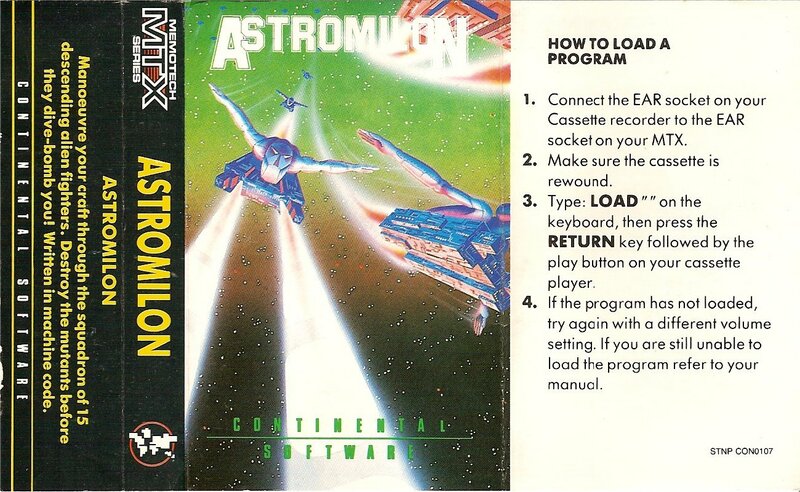 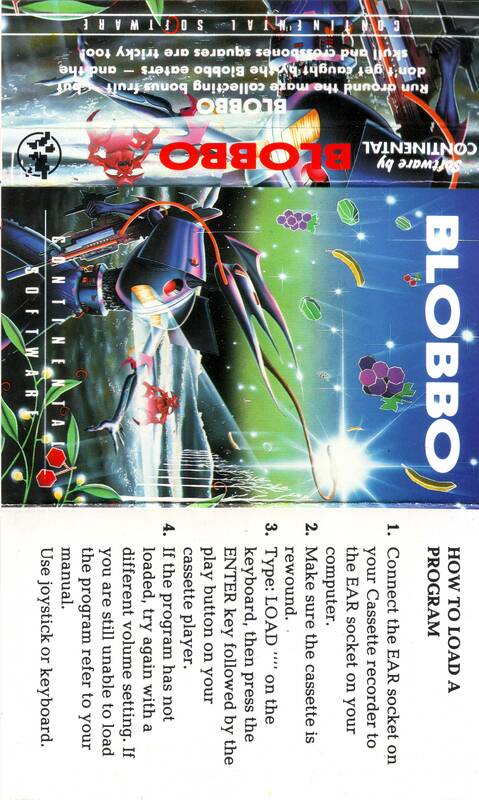 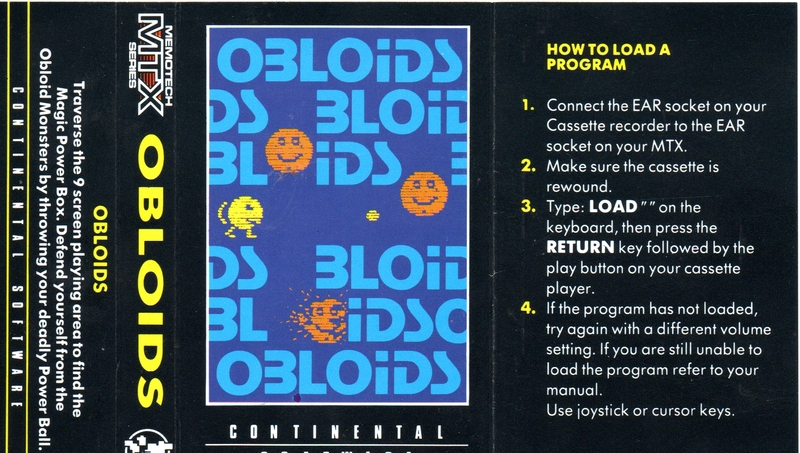 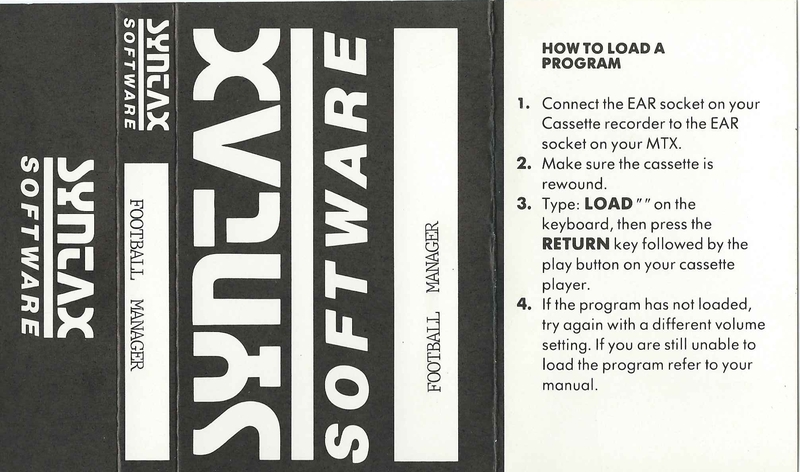 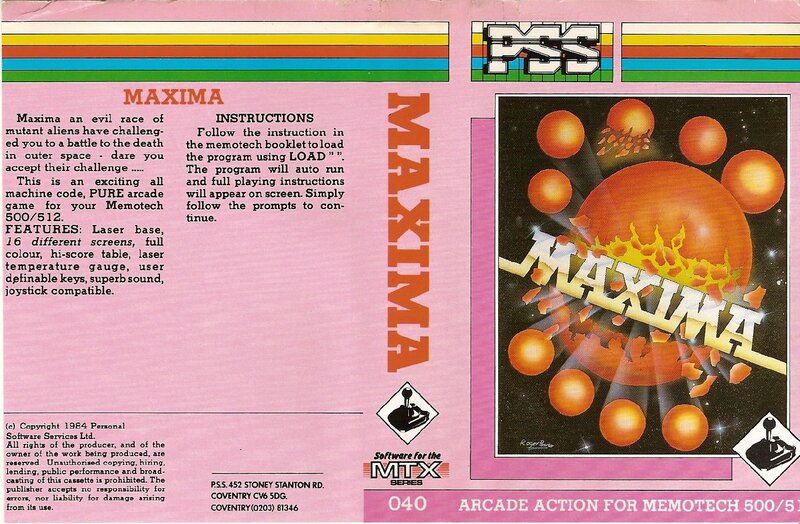 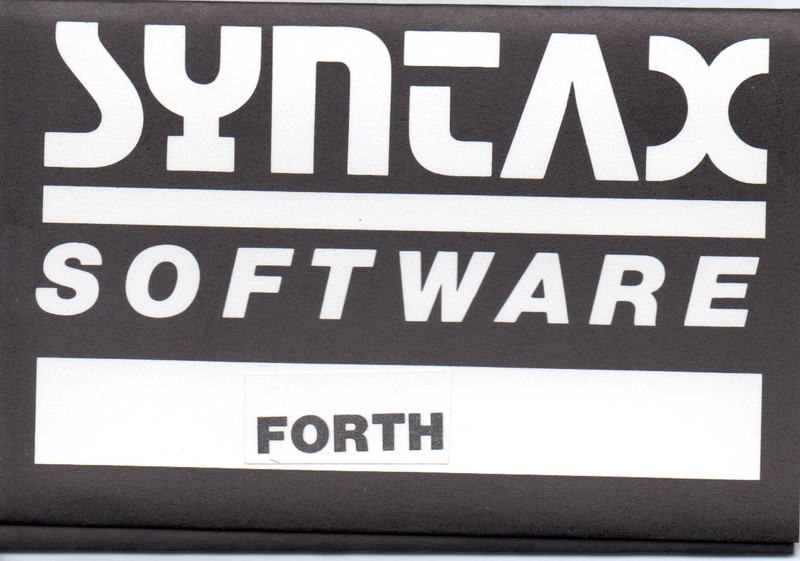 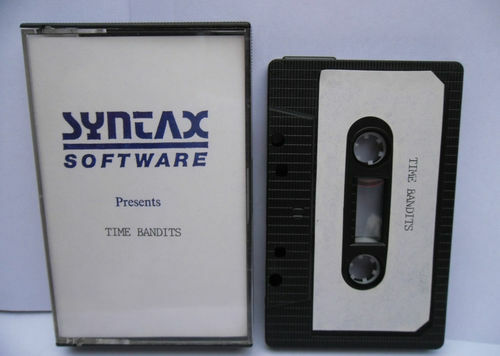 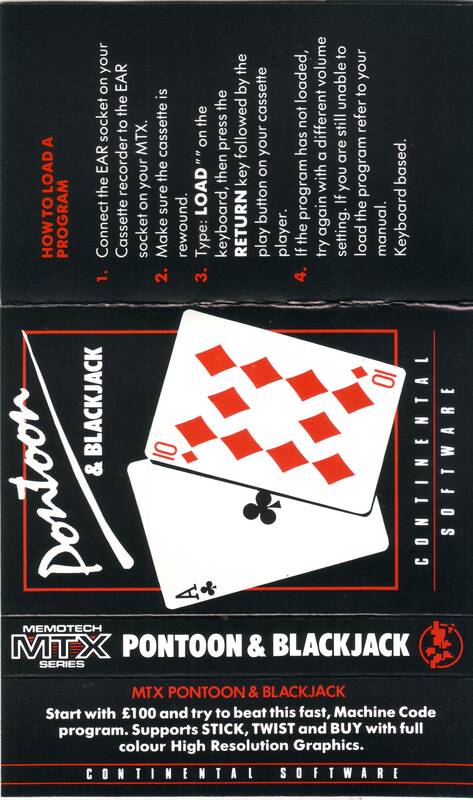 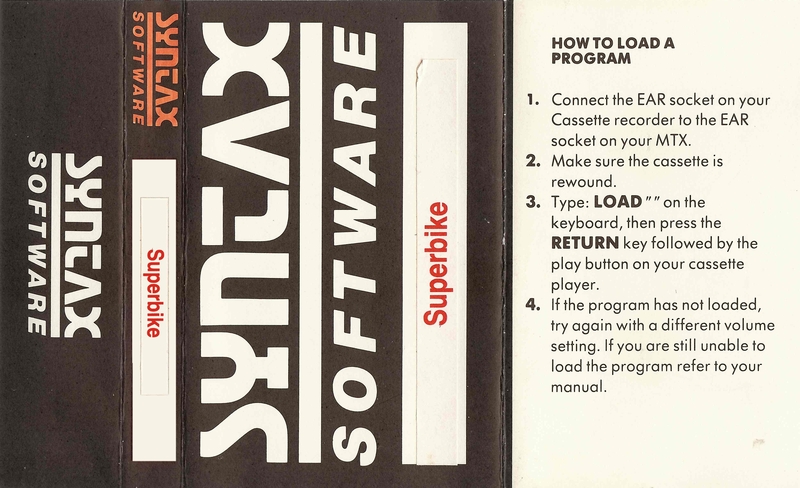 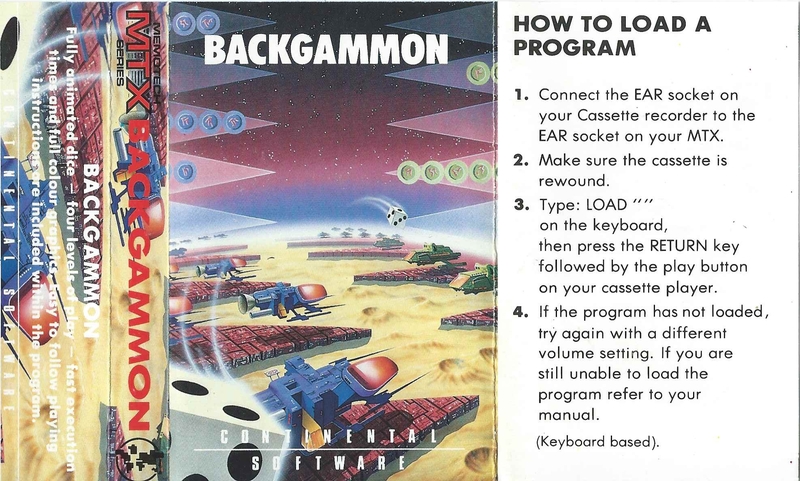 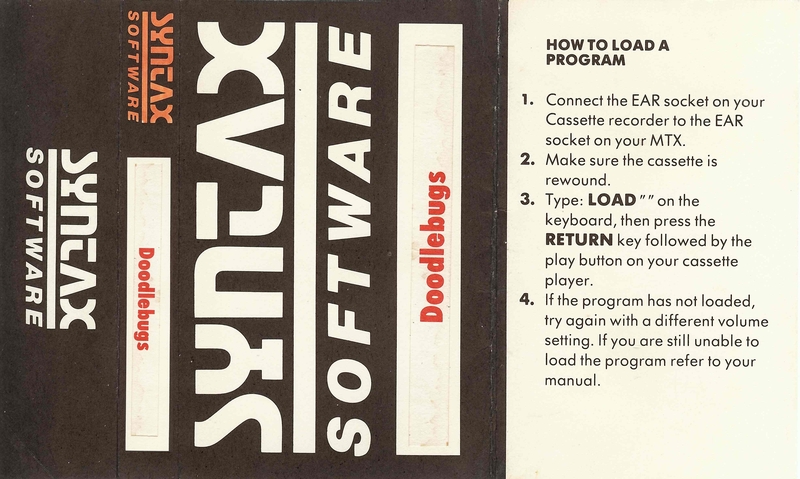 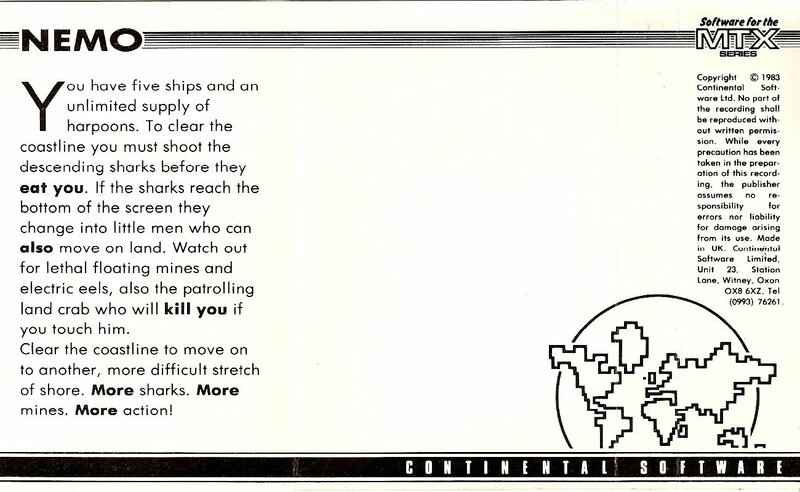 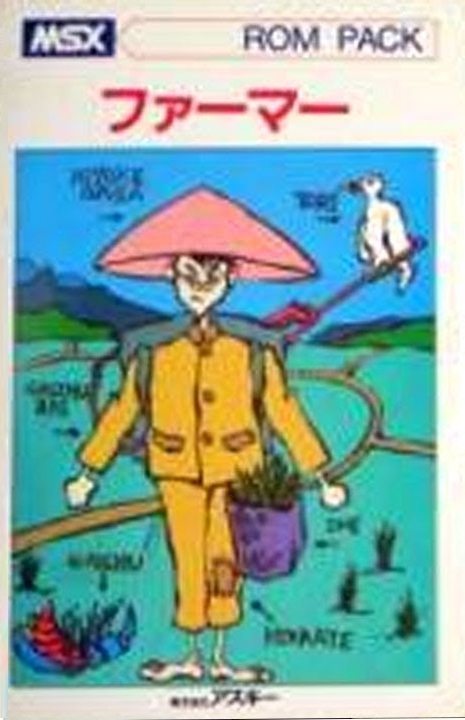 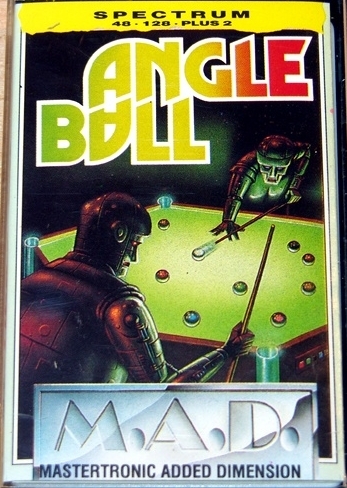 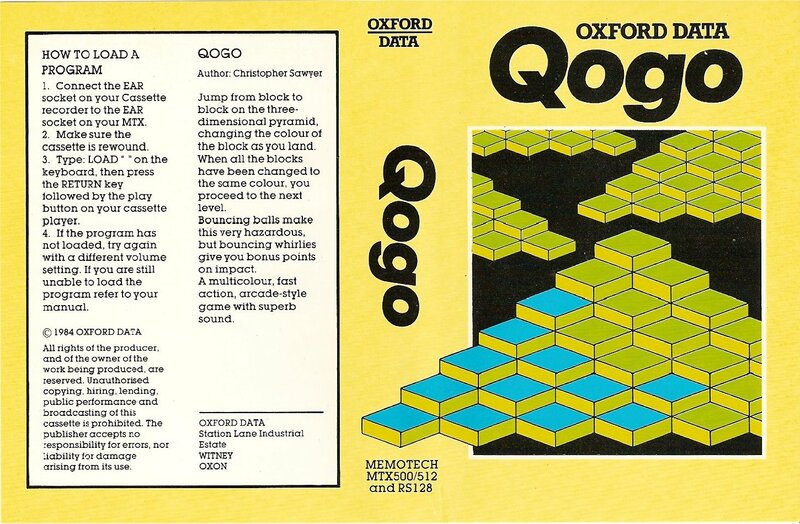 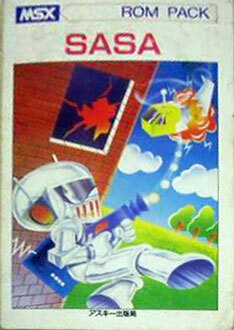 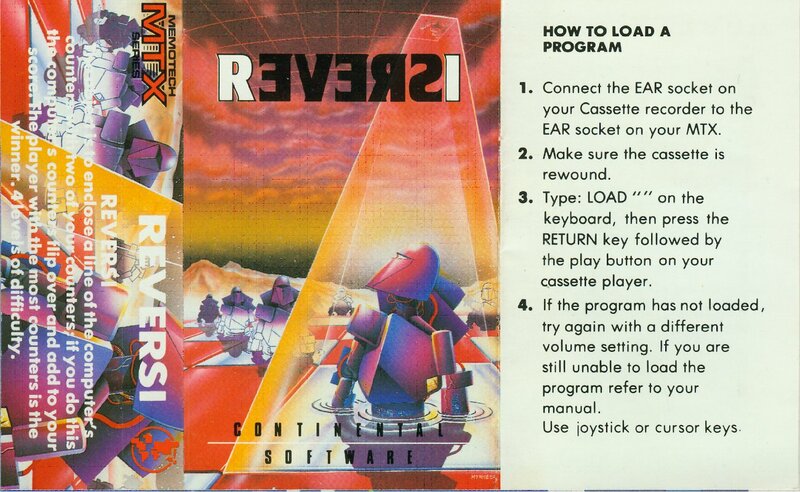 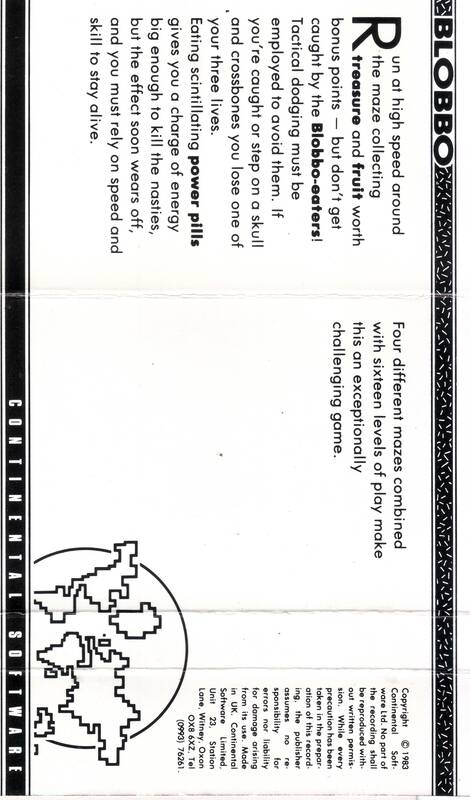 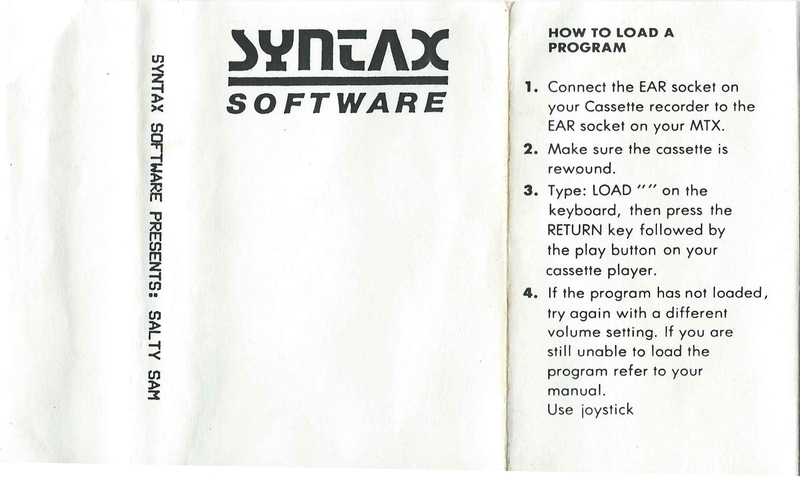 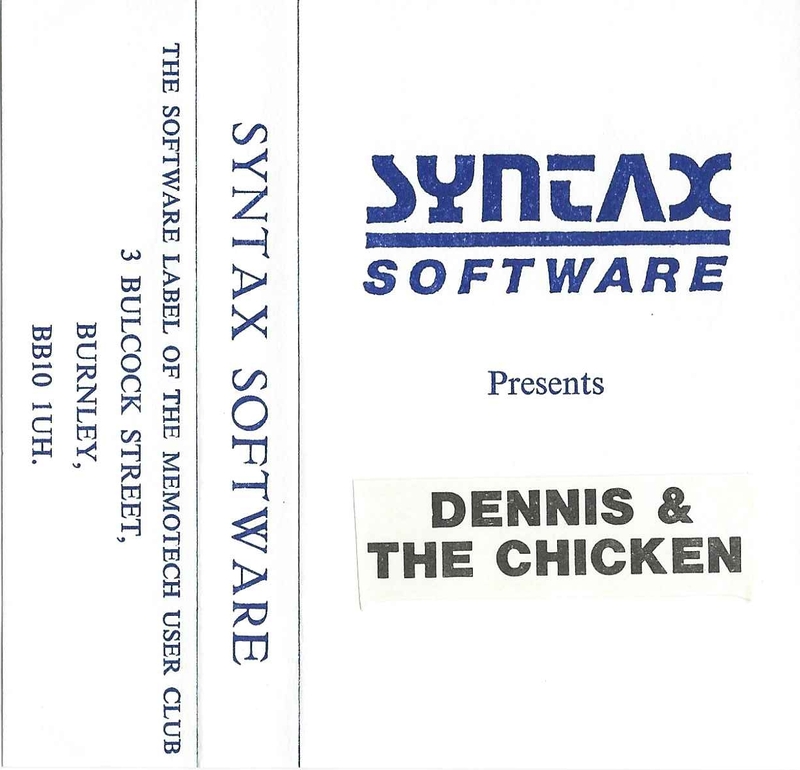 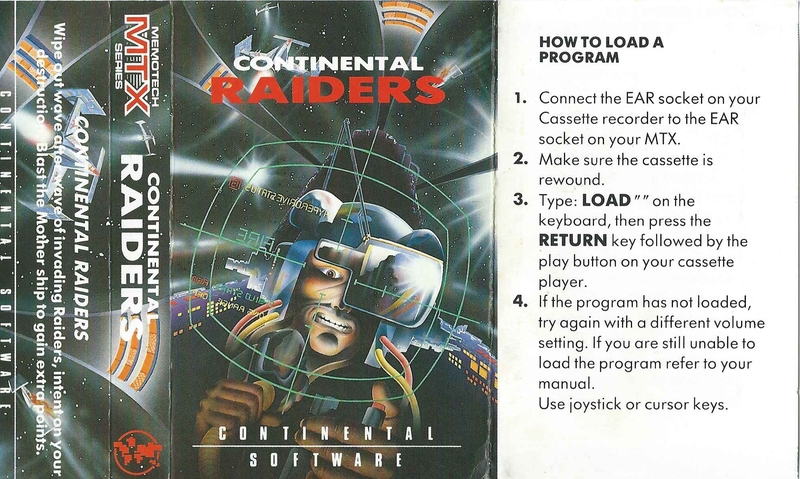 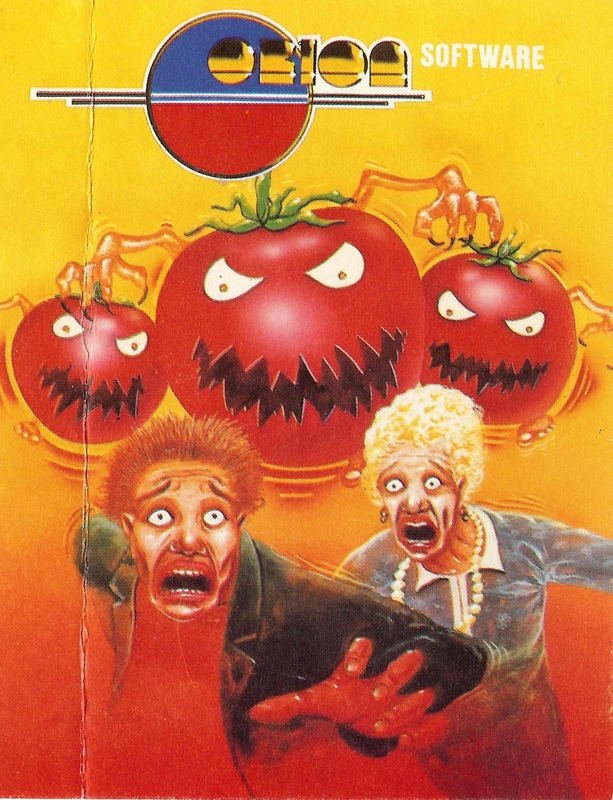 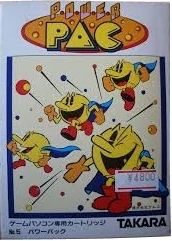 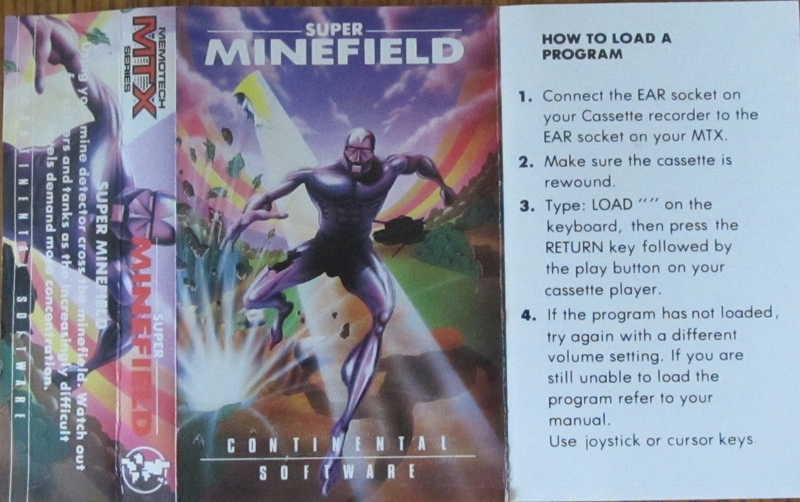 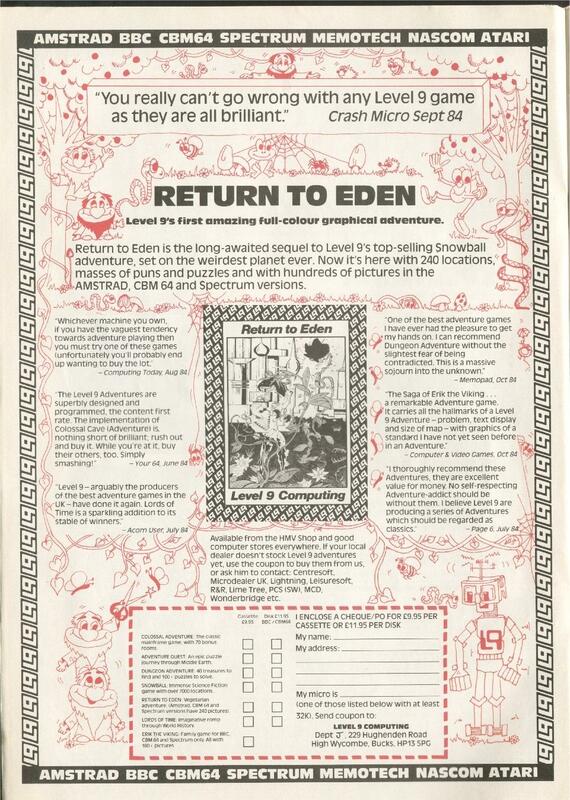 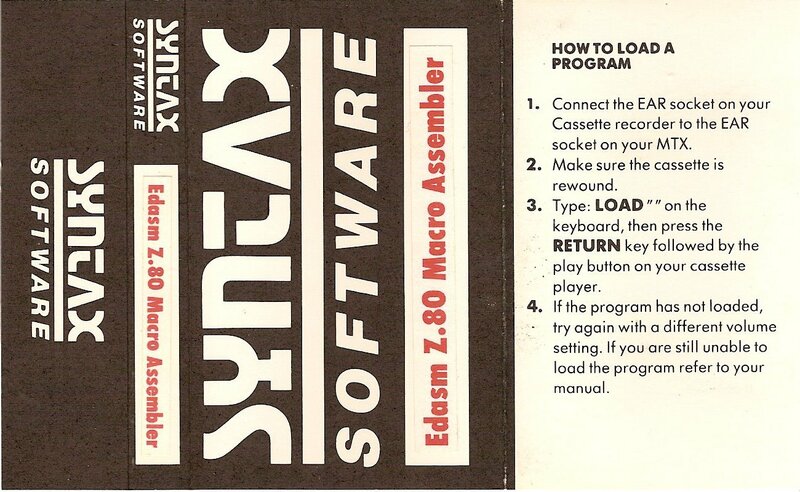 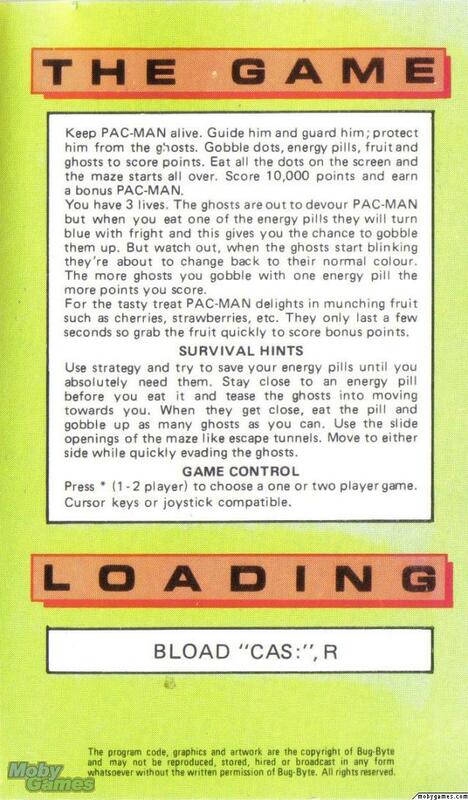 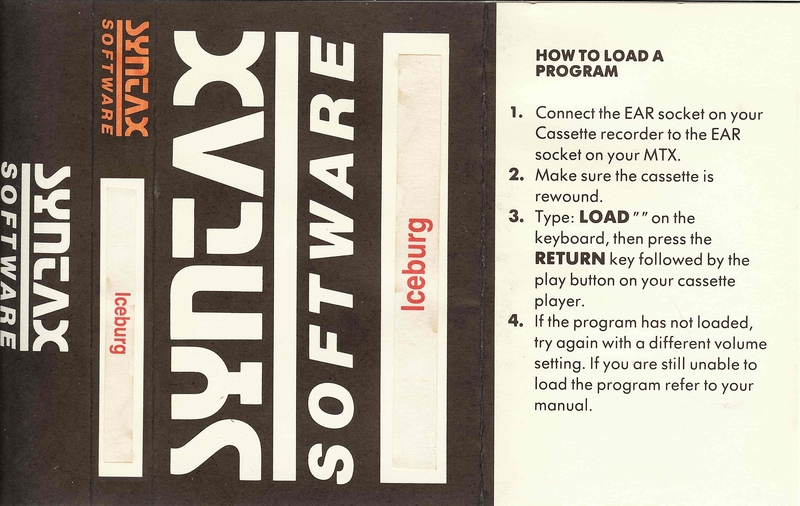 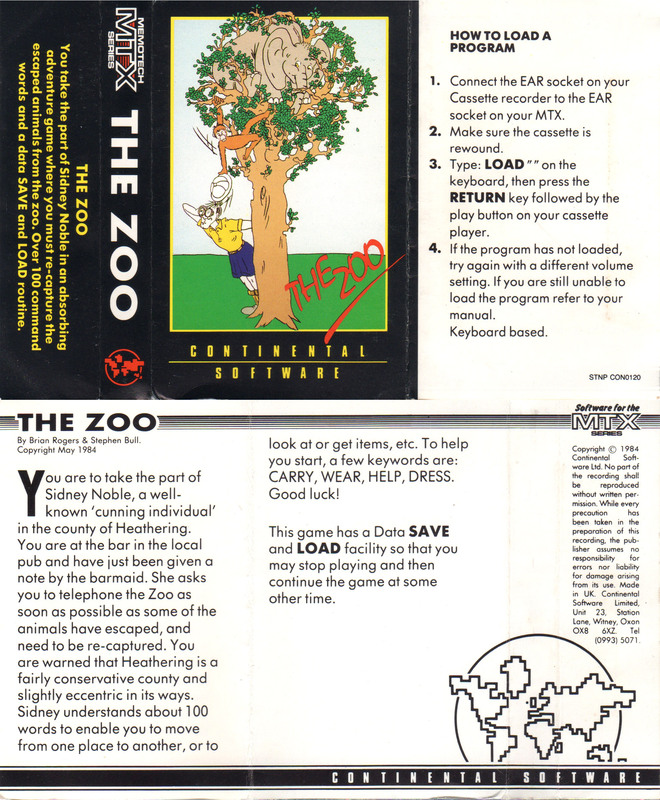 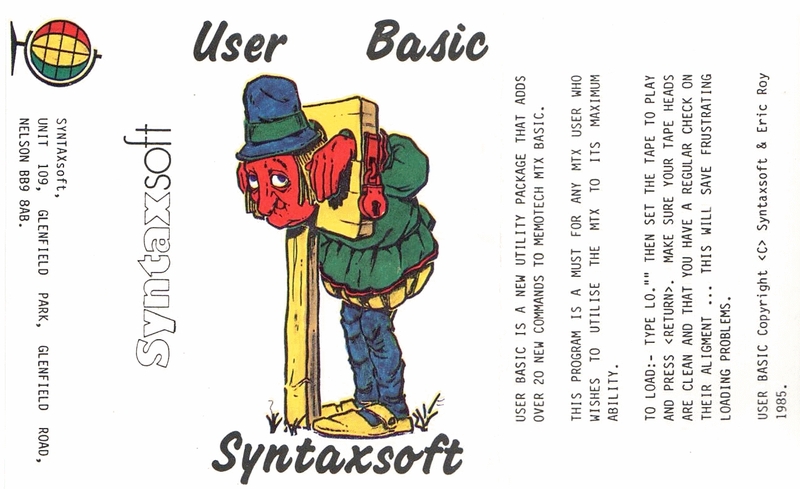 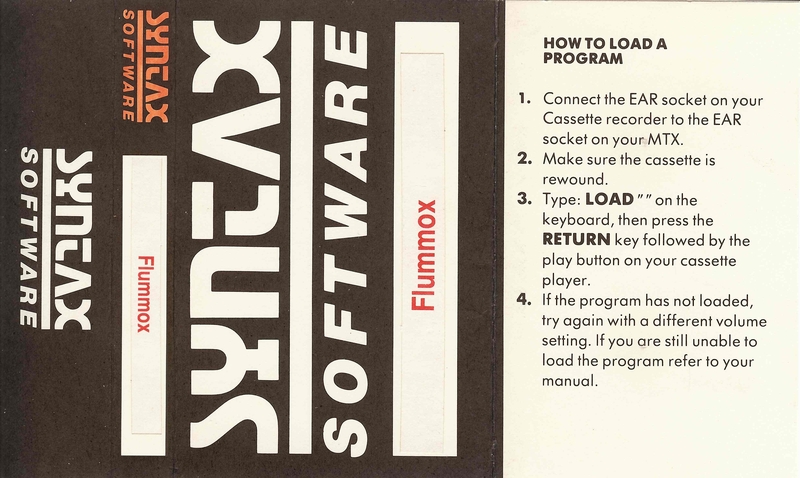 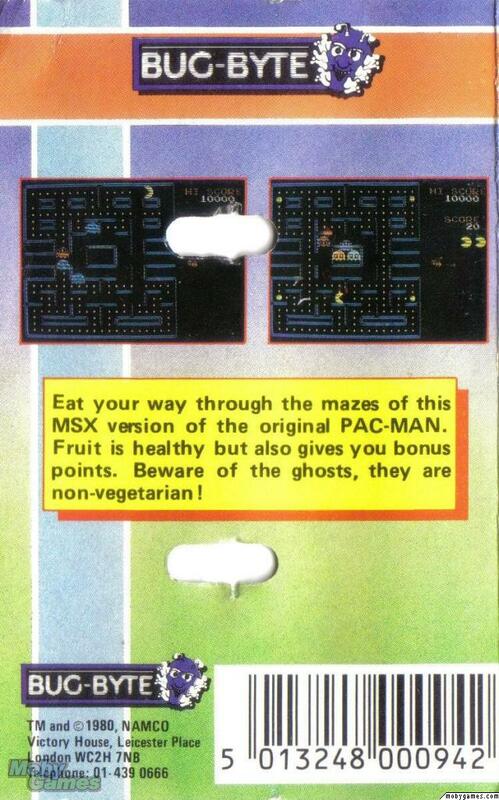 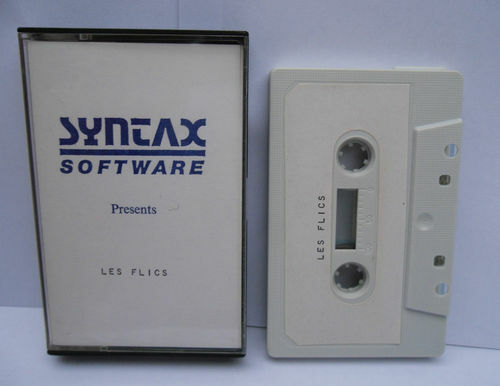 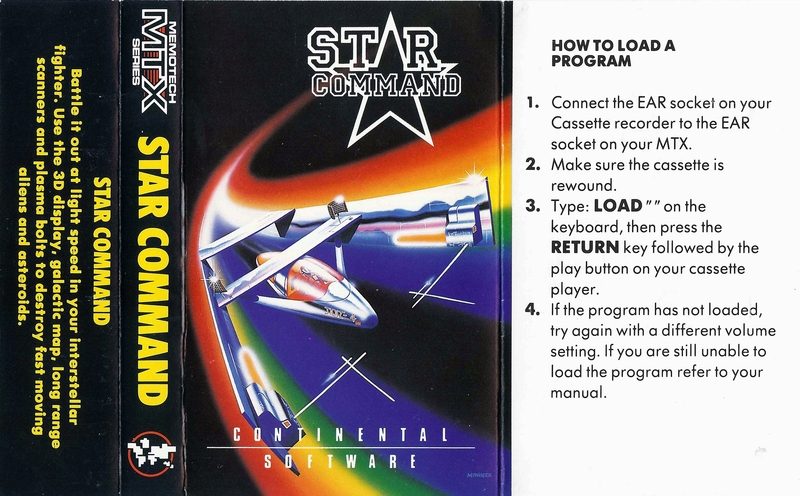 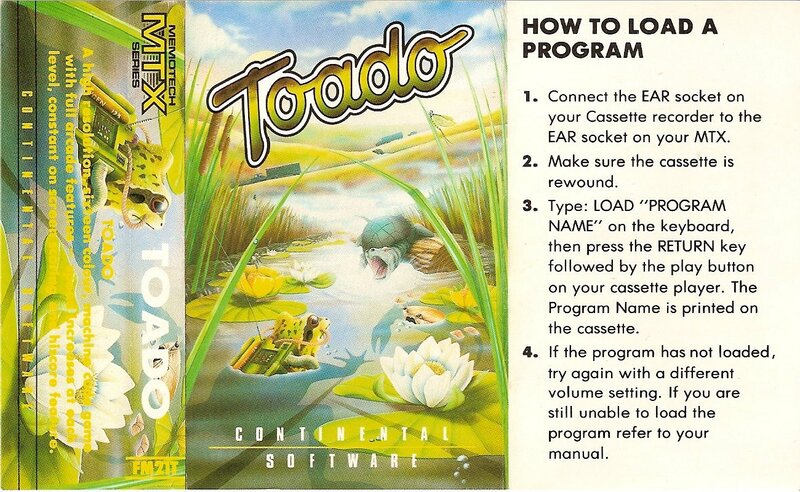 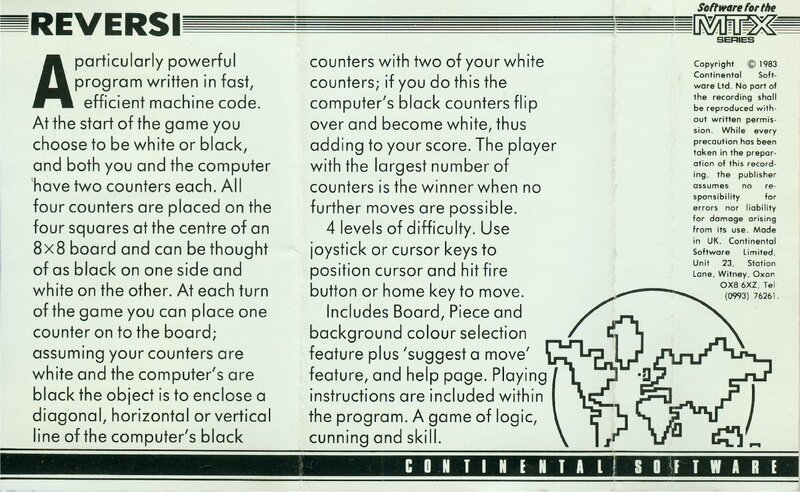 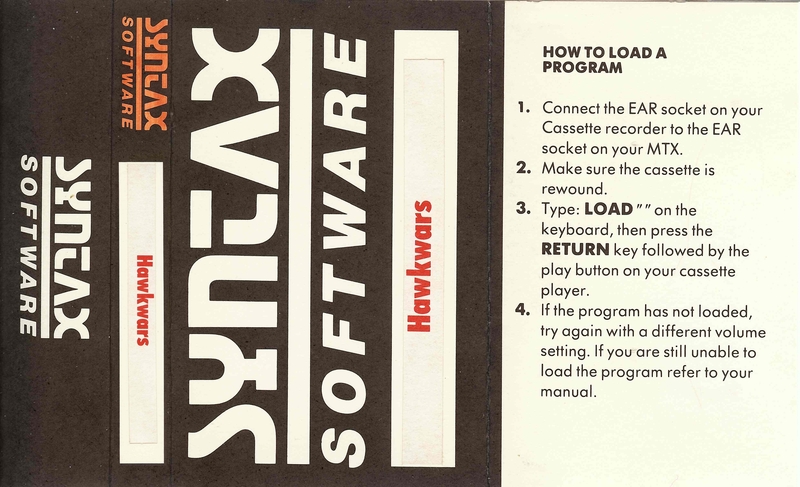 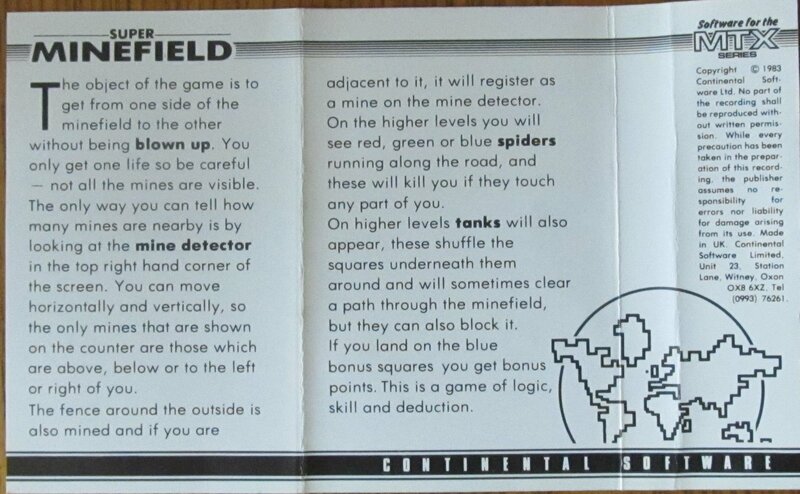 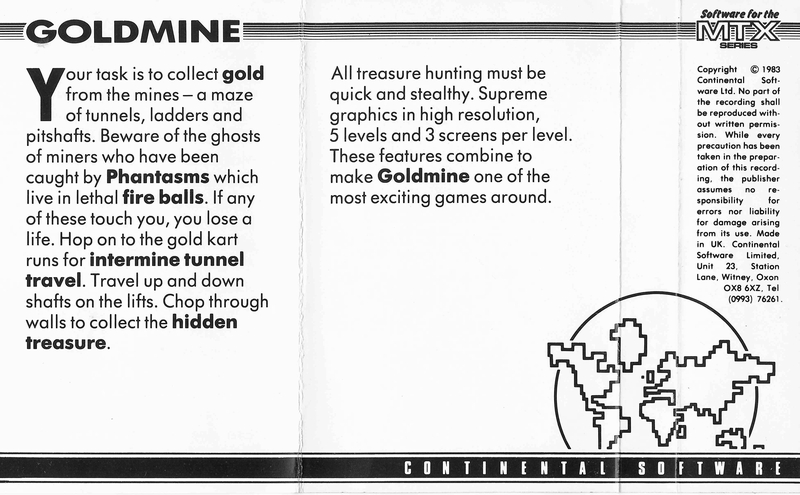 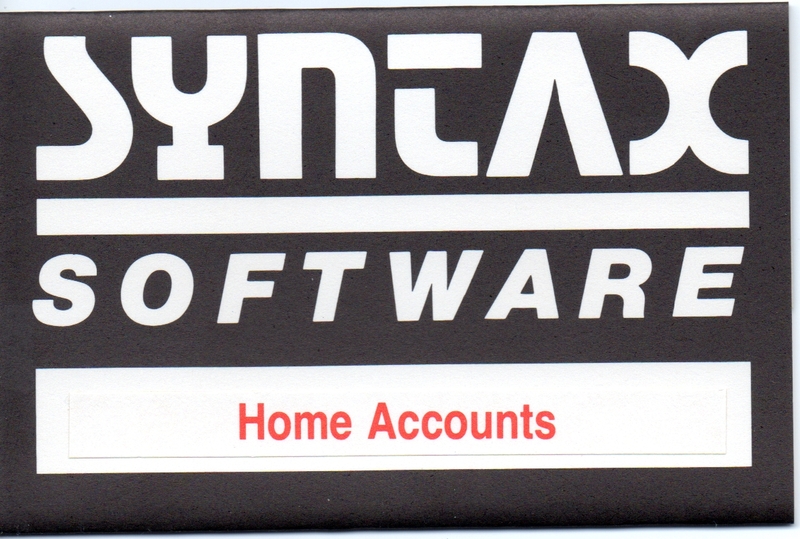 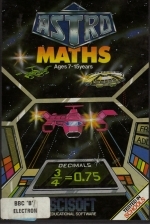 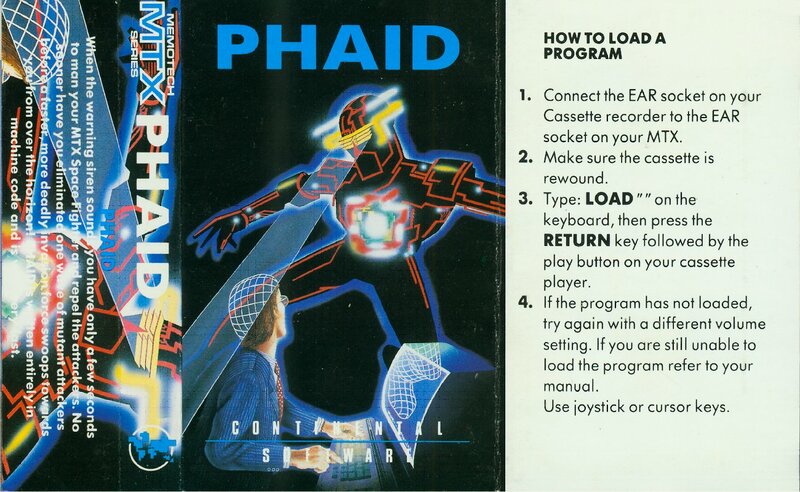 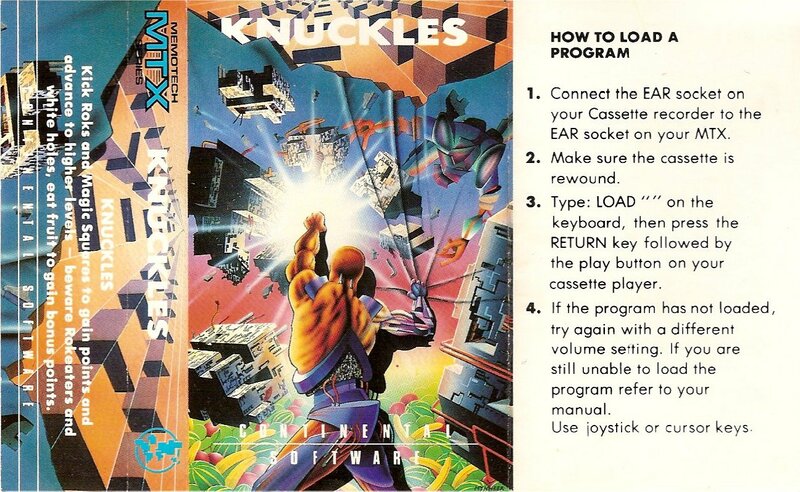 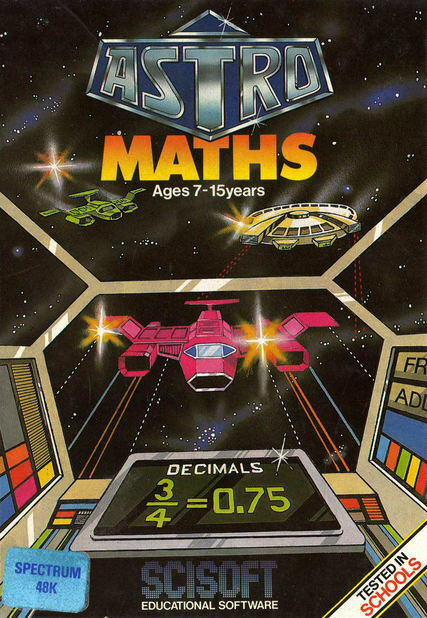 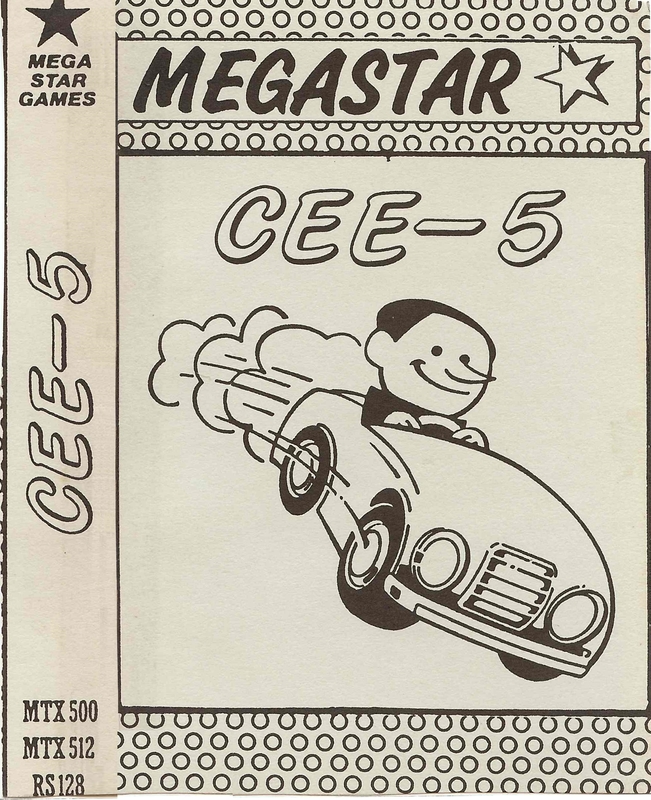 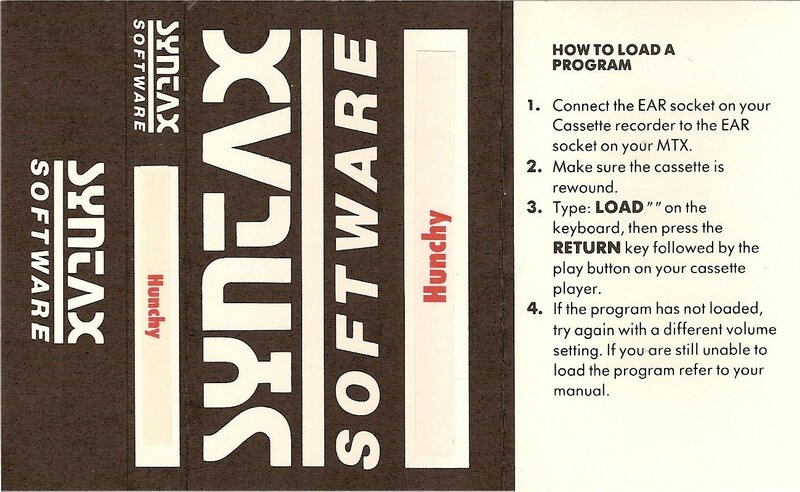 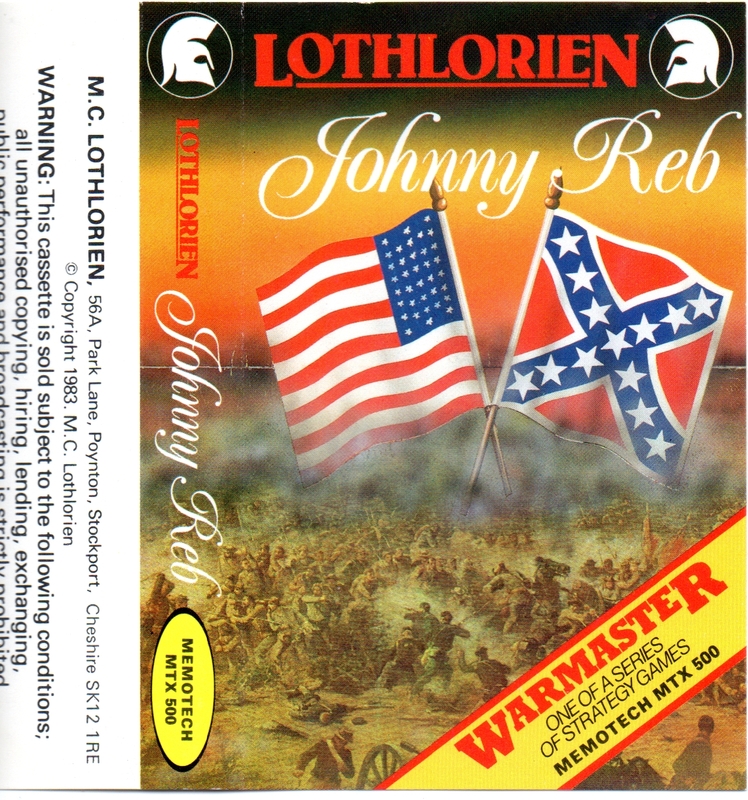 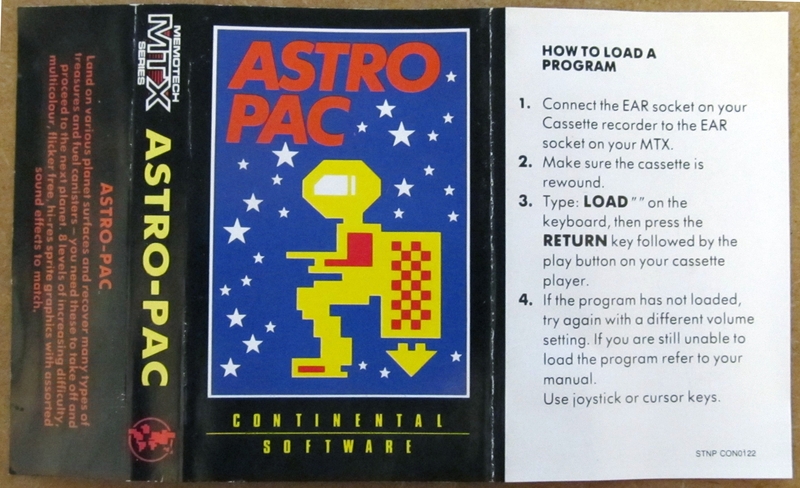 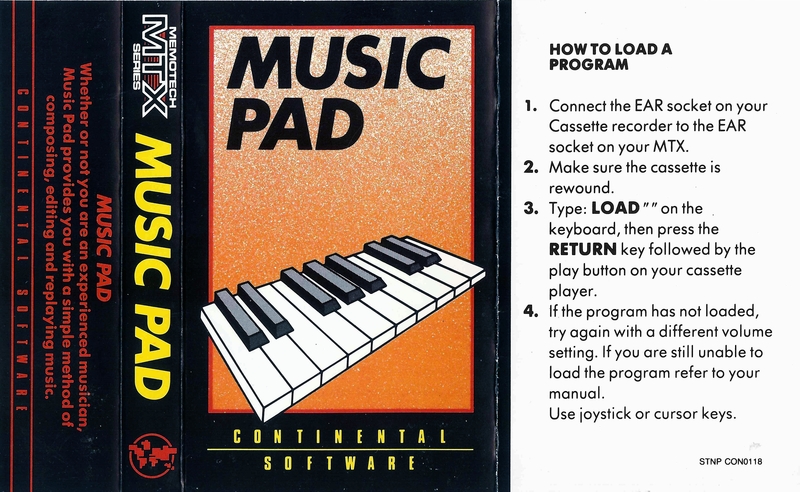 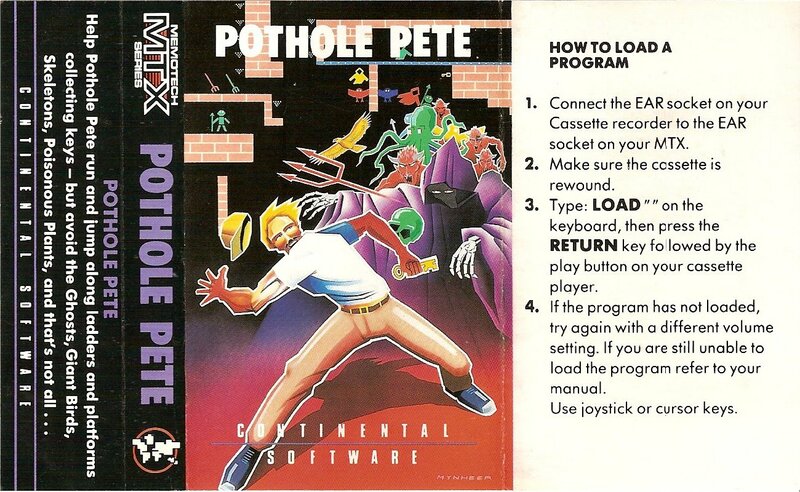 The cheap cover that Syntax Software used for their copies of games. 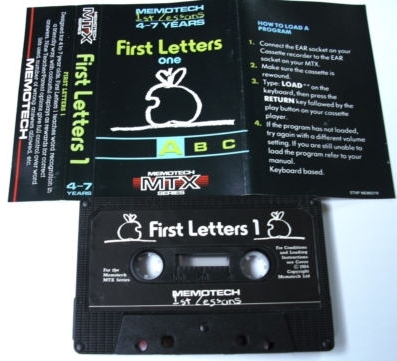 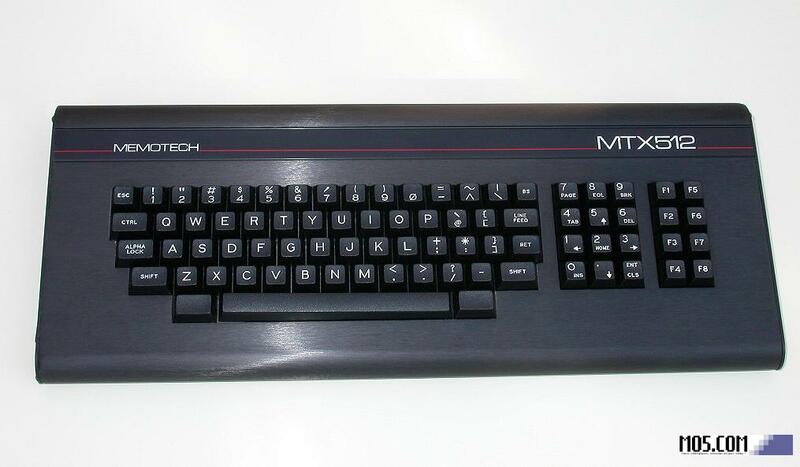 As the list above shows, there were only around 120 games originally produced for the Memotech computer and that is where it would have ended, if it were not for Claus Baekkel (www.mtxworld.dk). 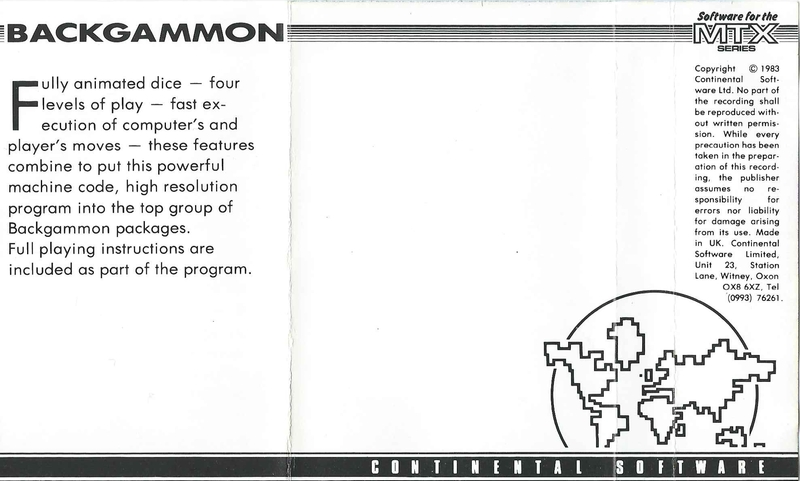 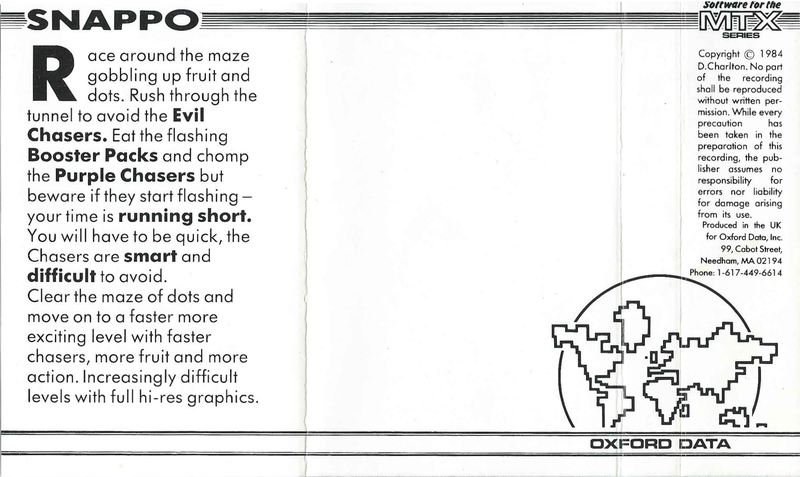 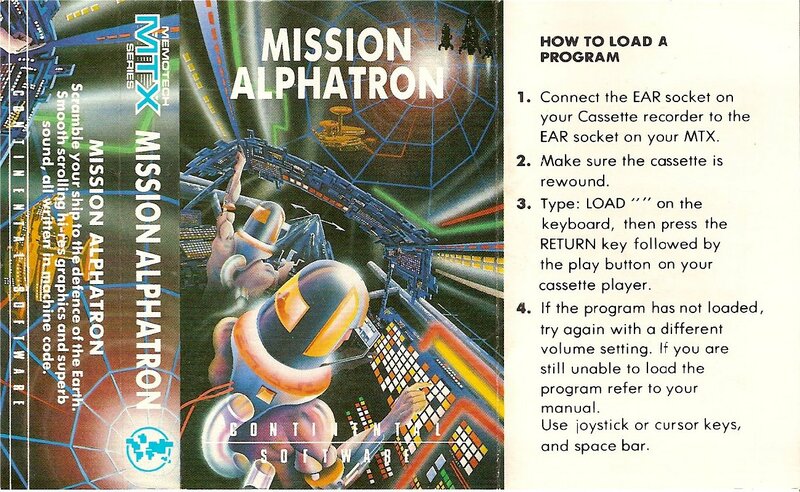 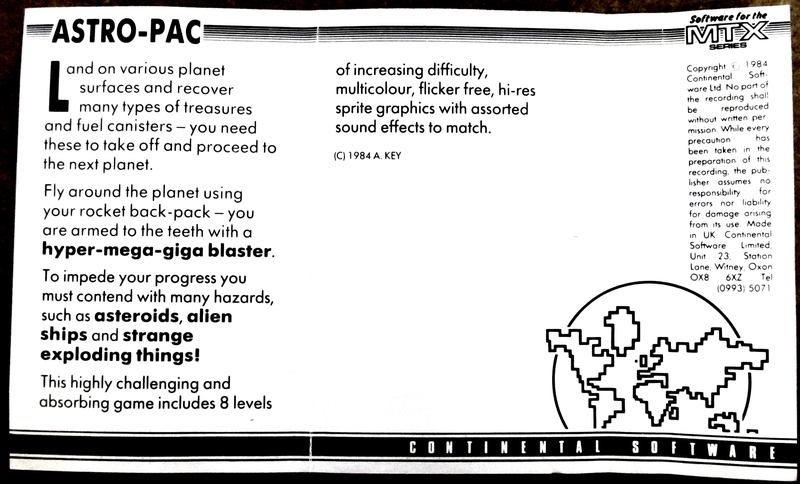 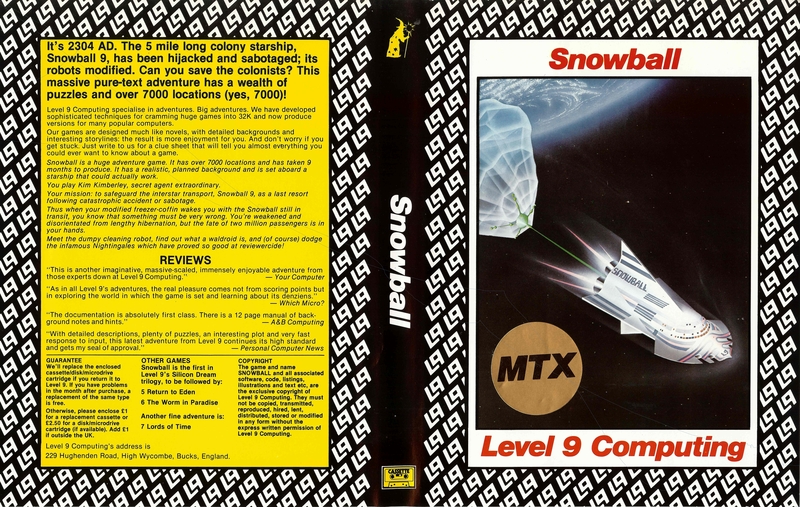 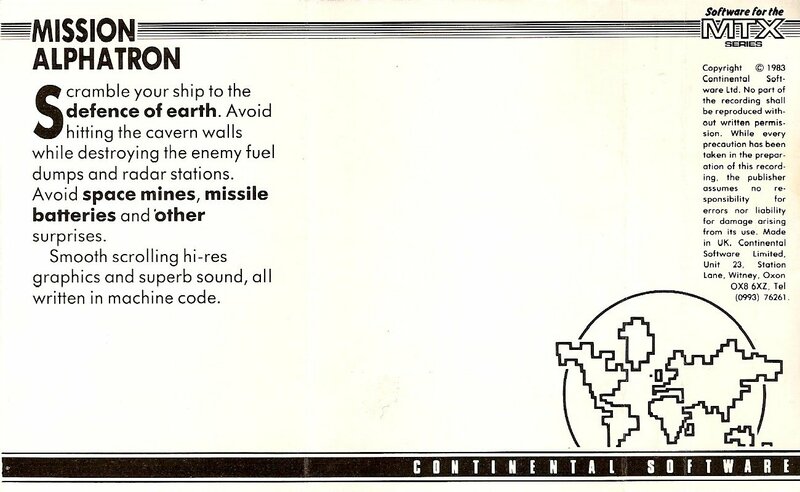 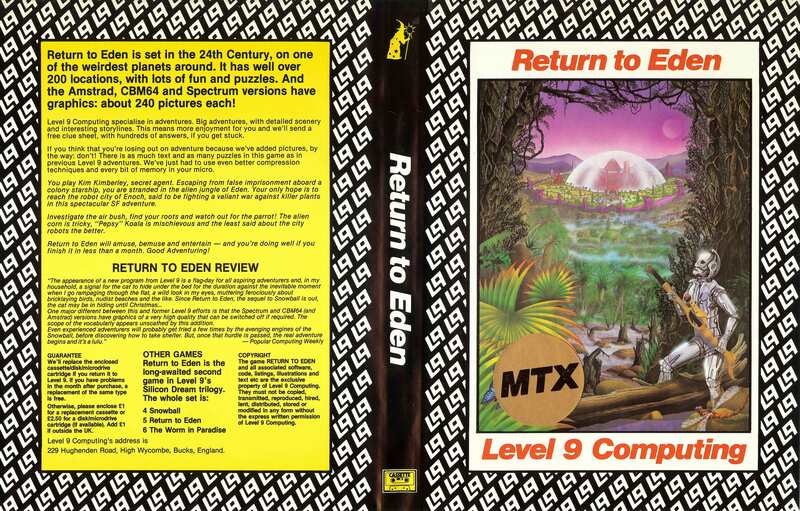 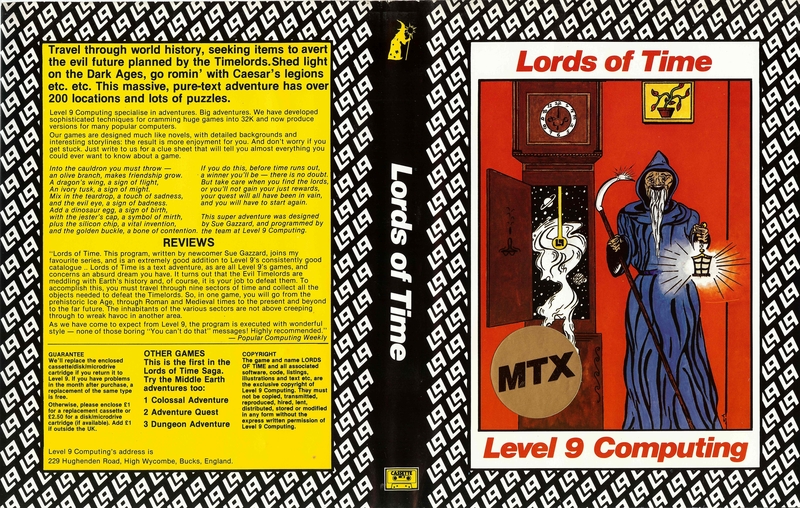 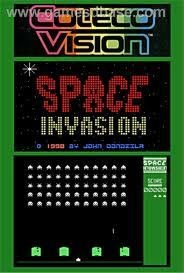 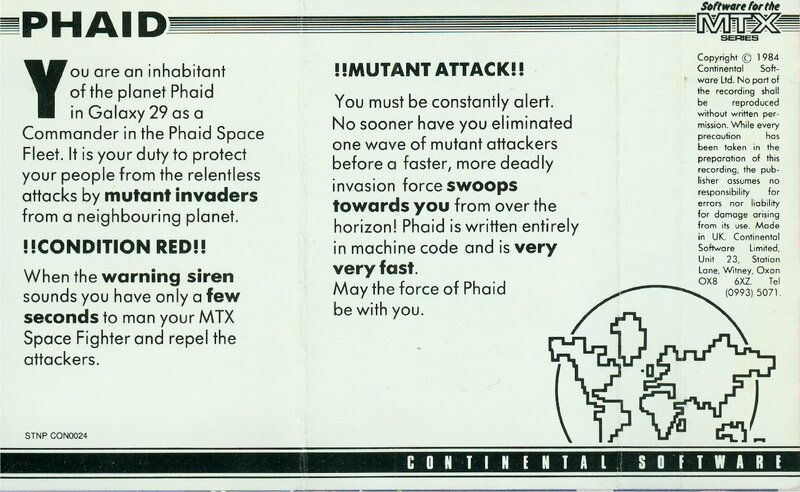 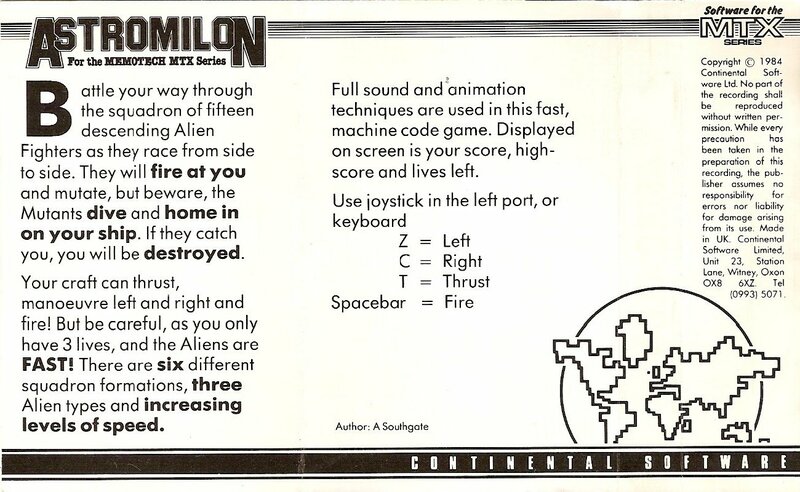 Claus converted John Dondzila's Space Invasion from ColecoVision to MTX in 2001 before embarking on a conversion spree in 2012/2013. 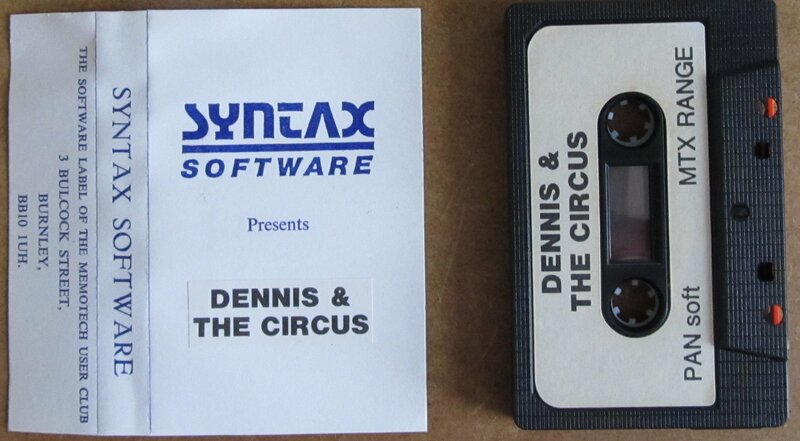 There are a few more games in the pipeline too - well done Claus! 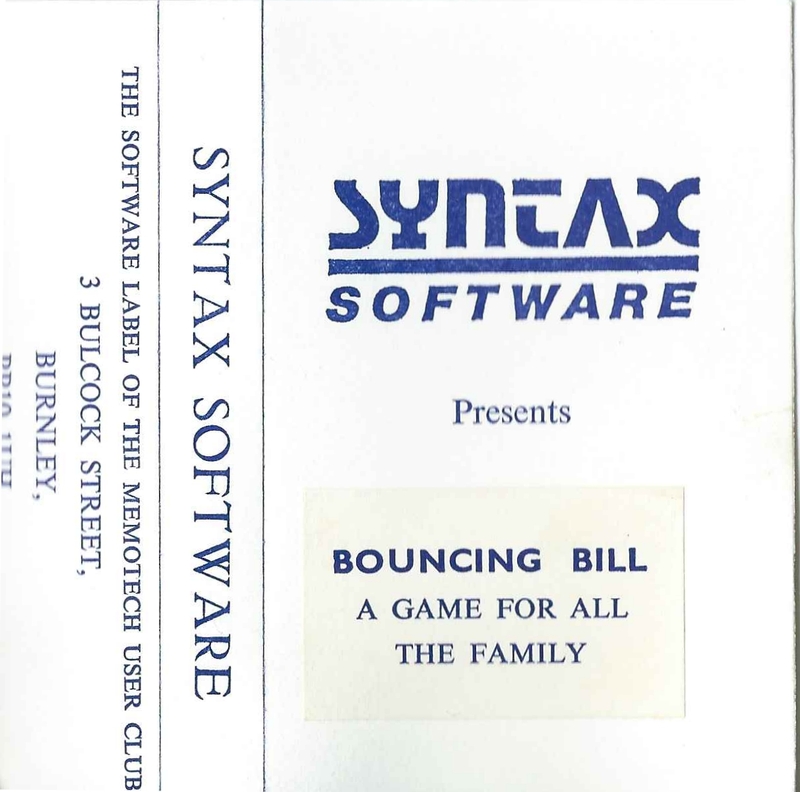 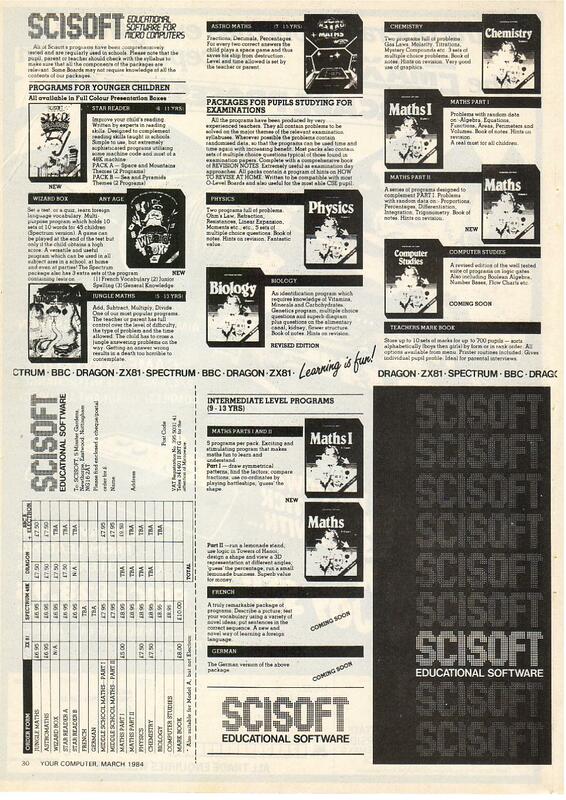 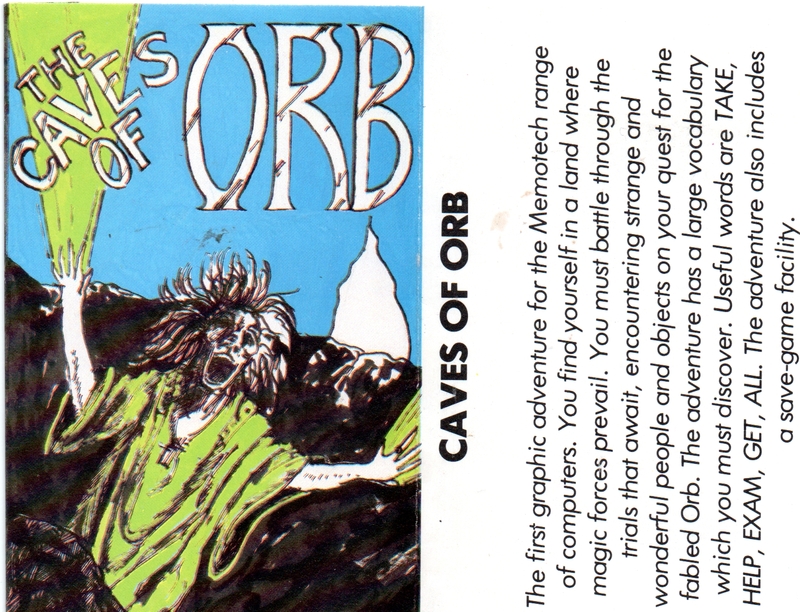 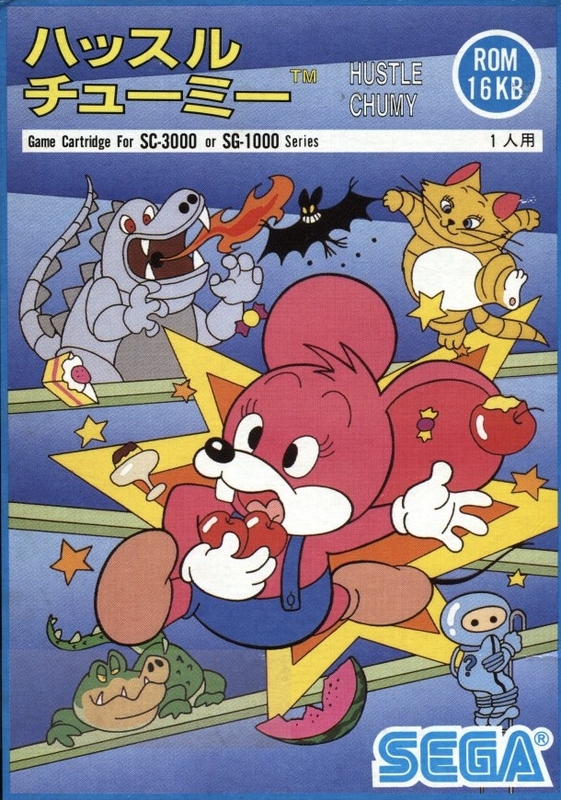 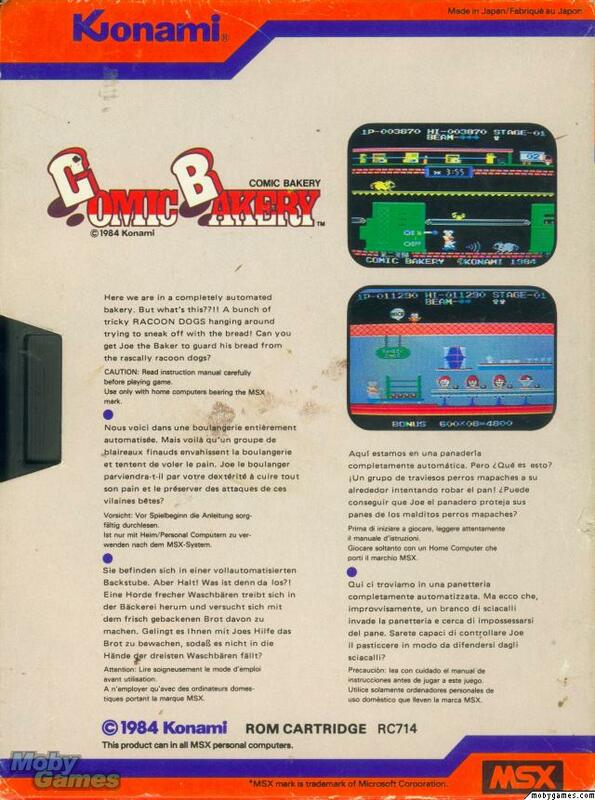 These games were originally developed for the much more popular MSX type machines; with the advantage of more potential sales and the financial strength of larger companies than Memotech behind them, these games tend to be much higher quality than the Memotech specific titles. 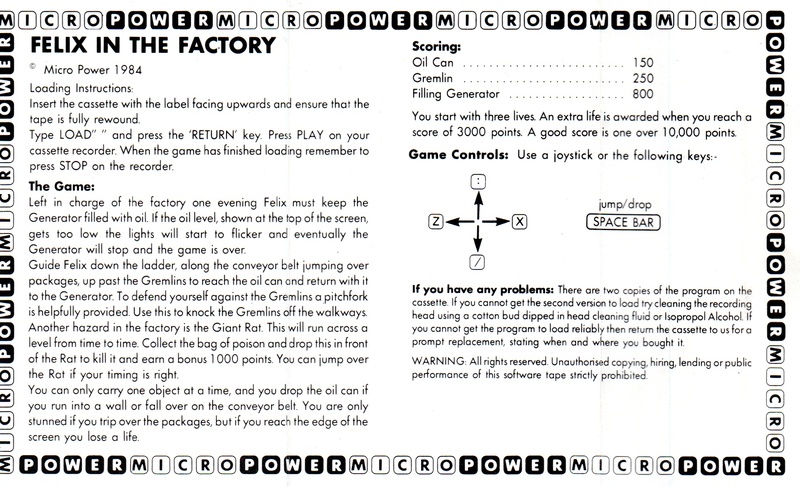 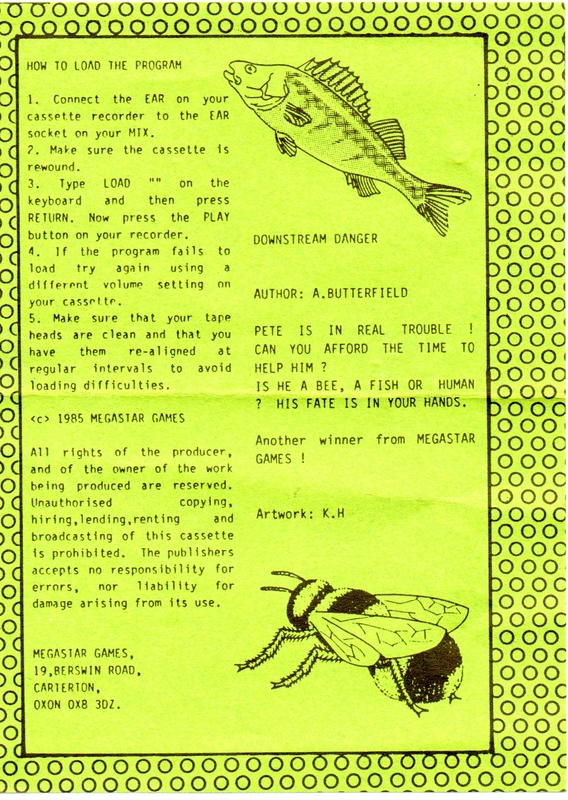 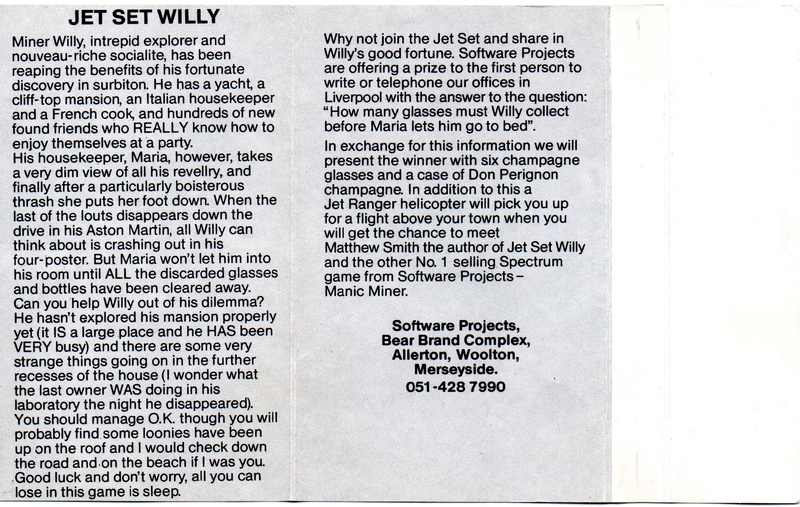 Game author "Hall of fame"
Megastar Games was run by Jim Wills (who also worked at Memotech), he is on-line here. 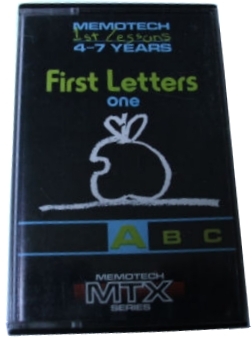 Scisoft produced a large number of Educational software titles for the MTX and worked with Memotech to produce some educational packages in Cyrillic in support of the Russian schools bid.